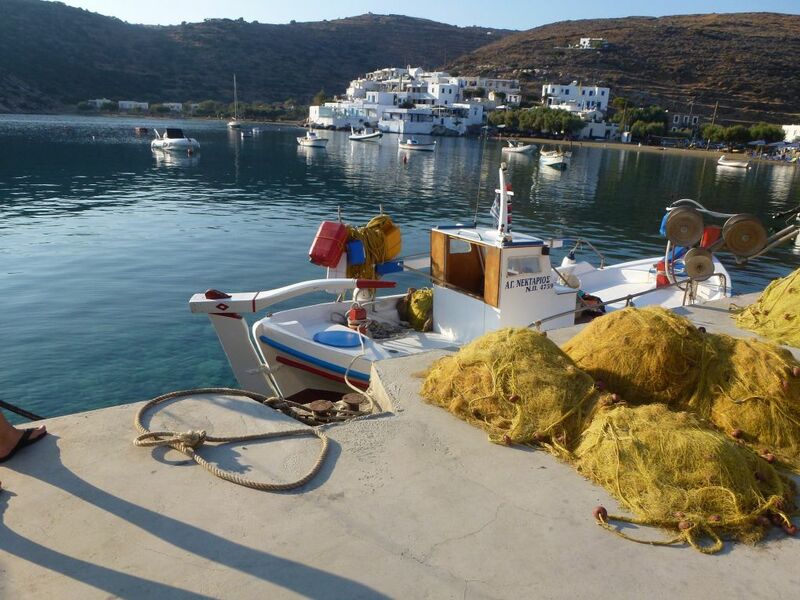 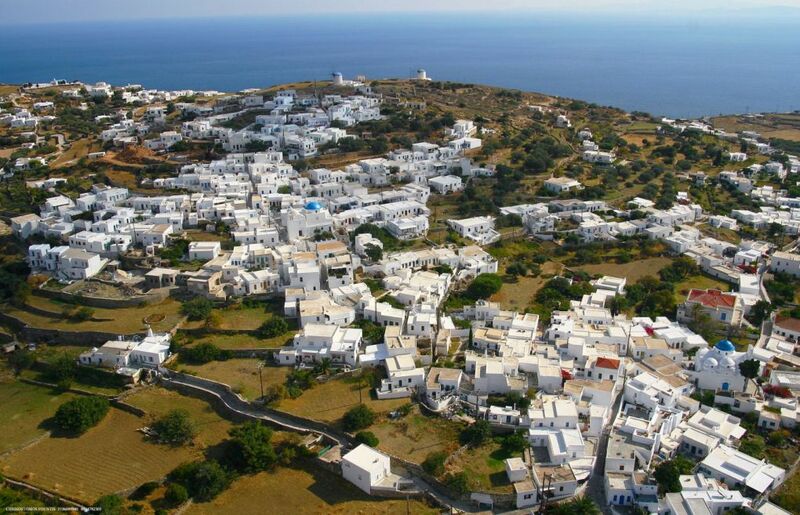 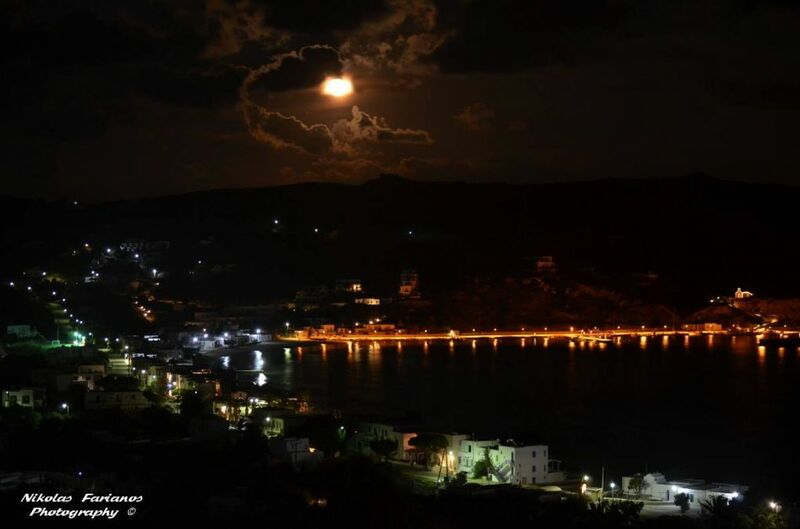 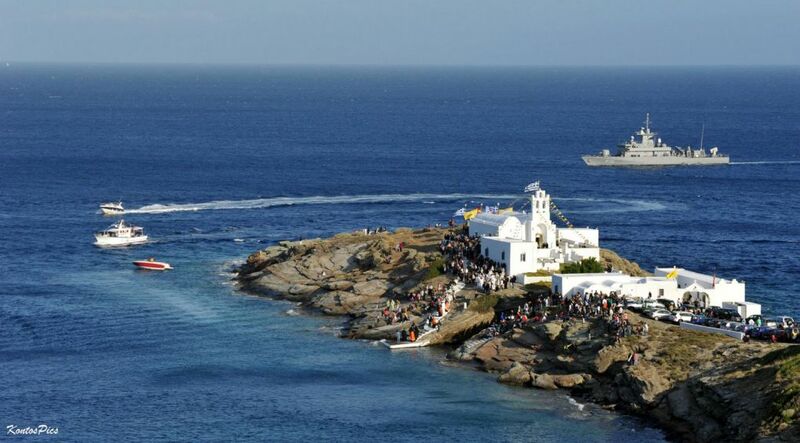 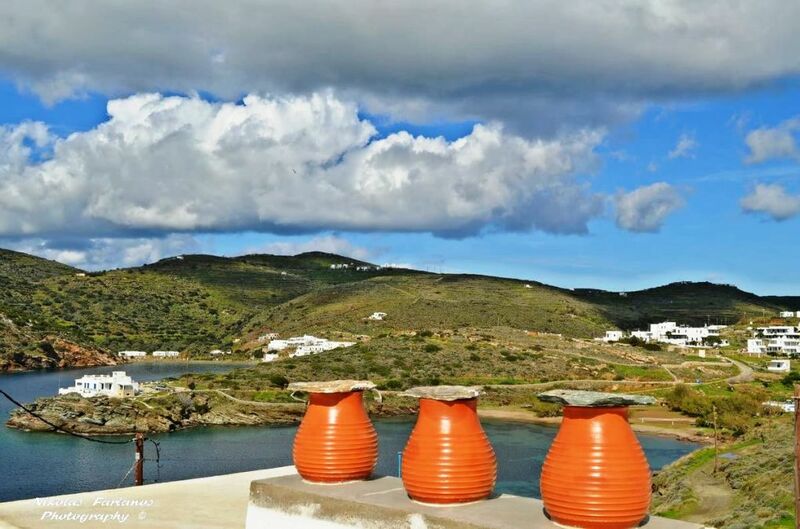 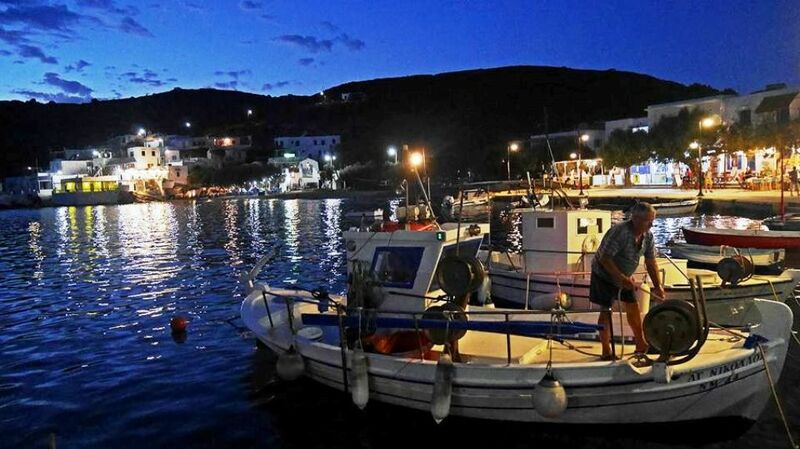 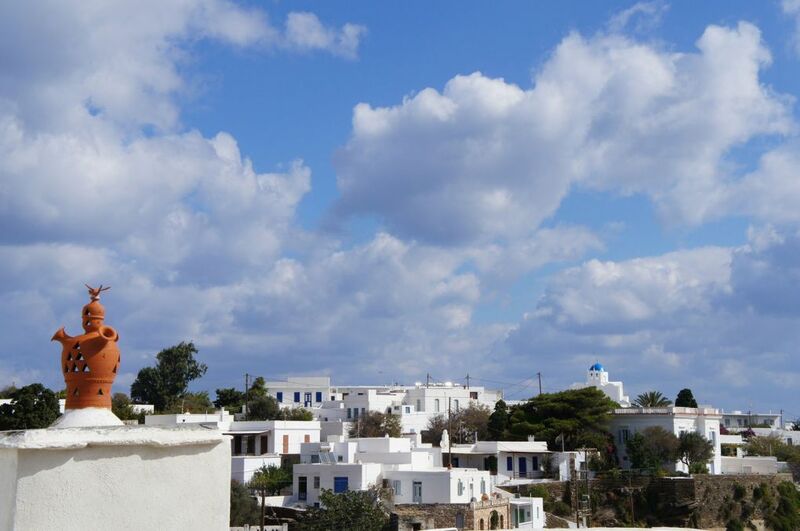 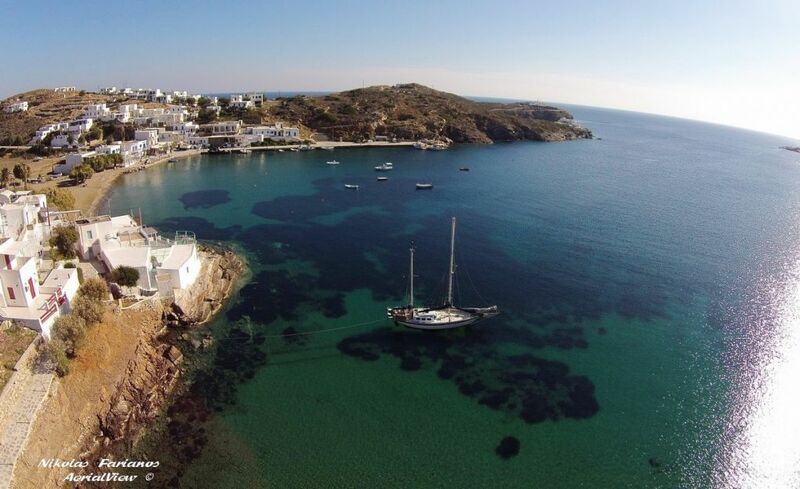 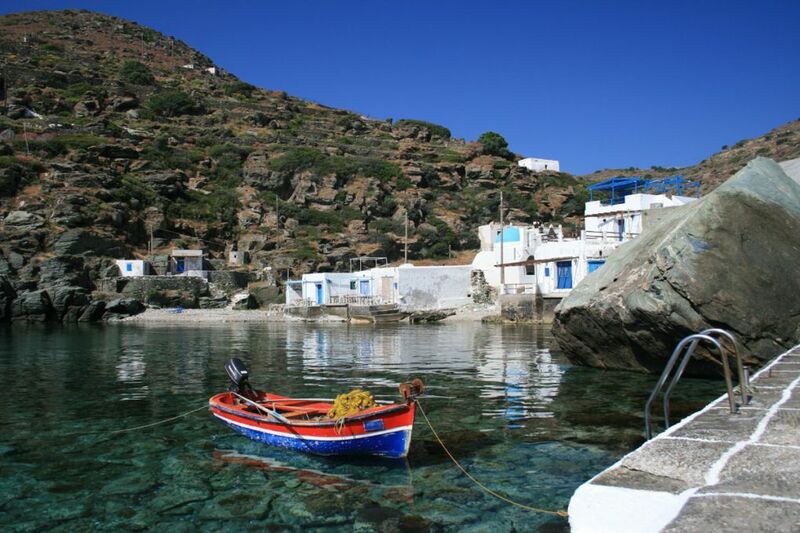 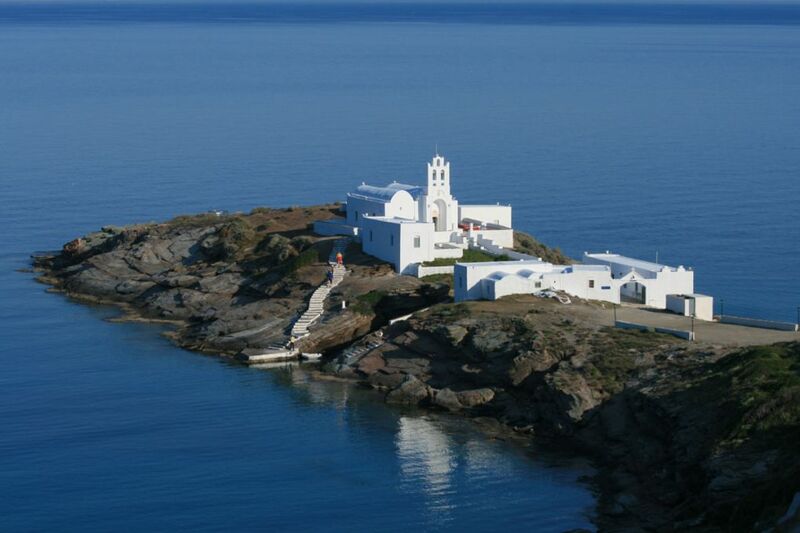 Faros (Lighthouse) is a fishermen village with a leeward port, situated 7 km. 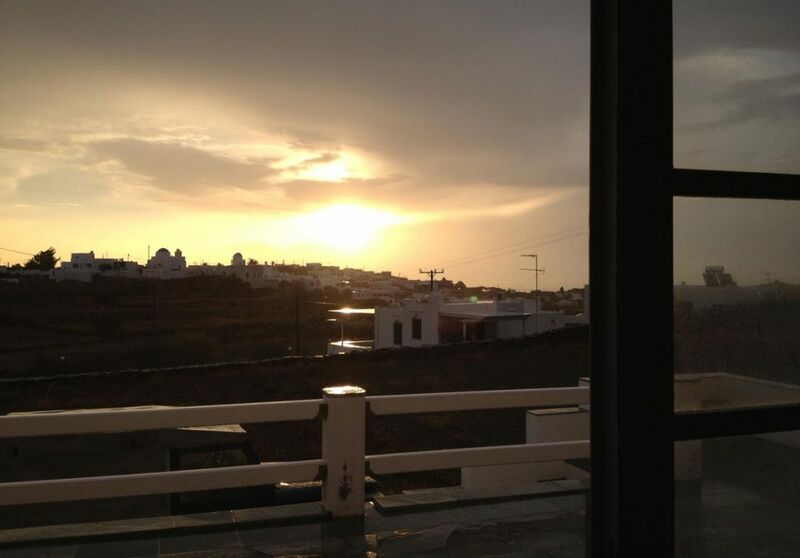 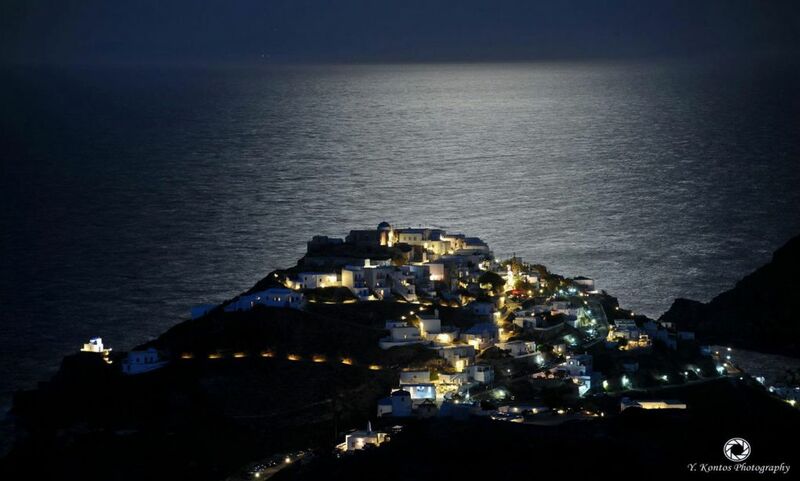 from Apollonia. 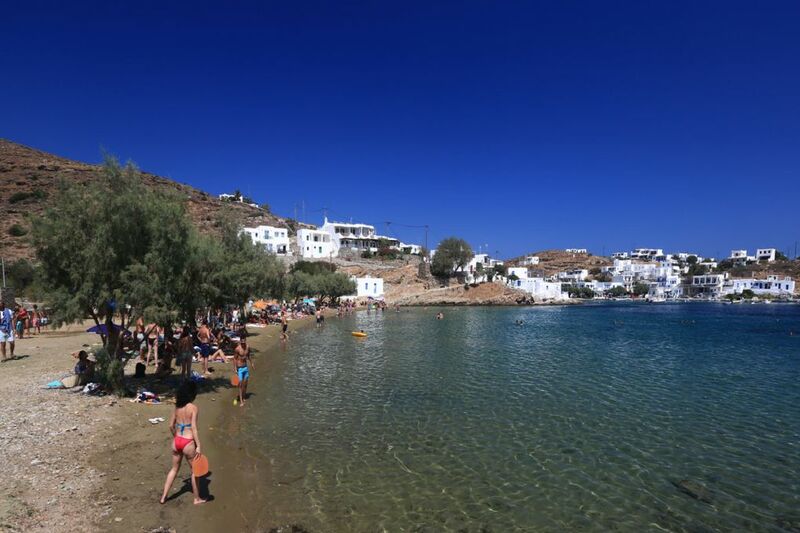 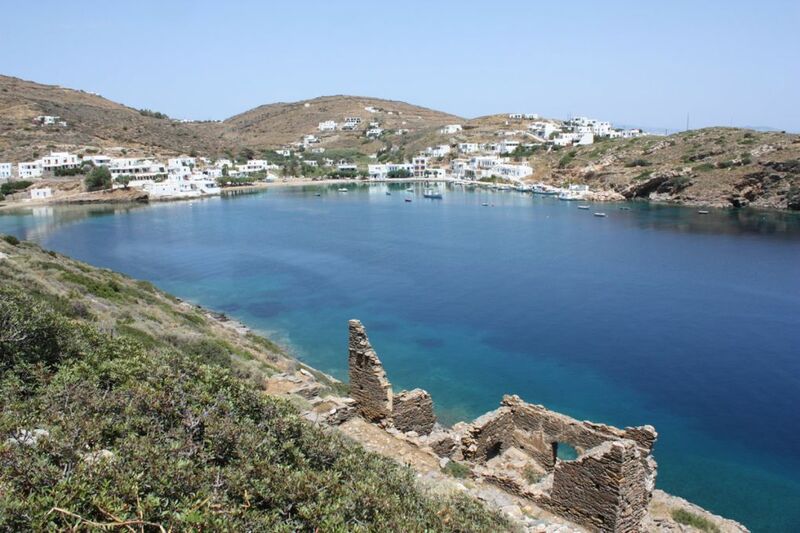 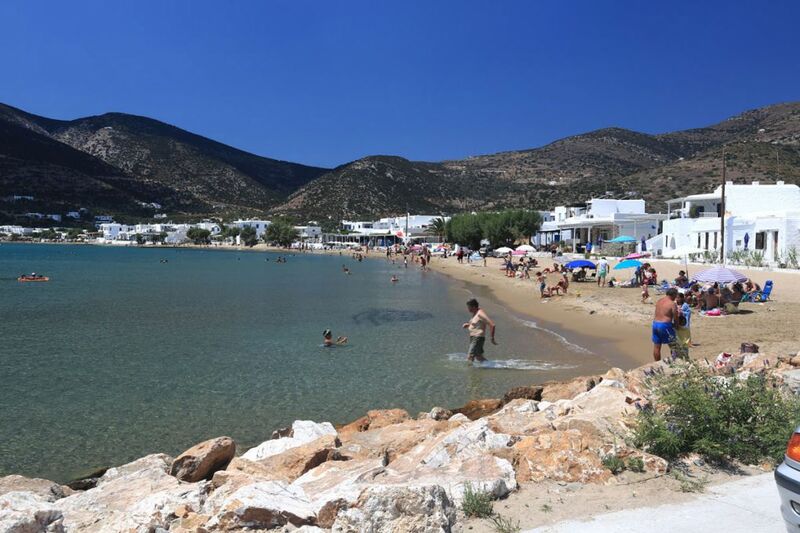 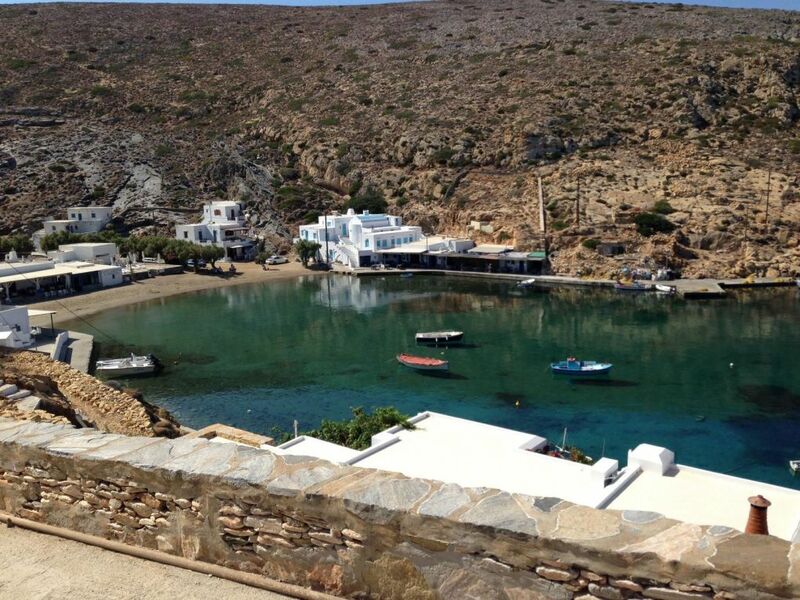 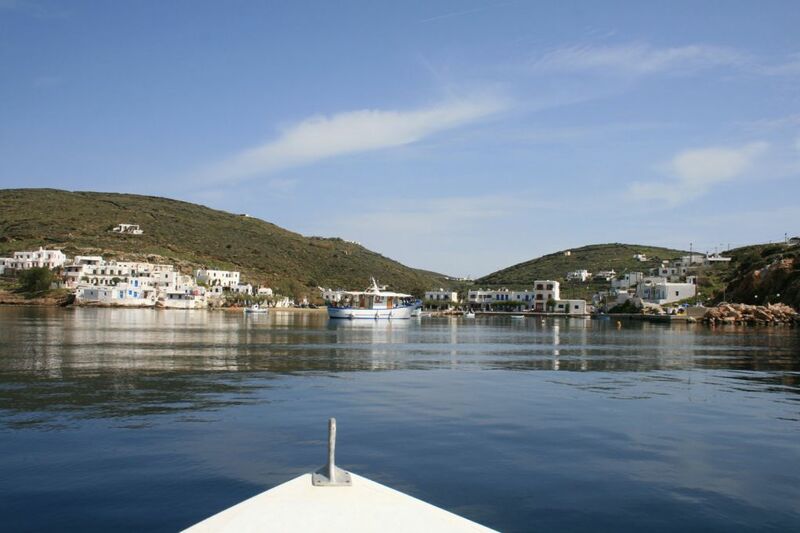 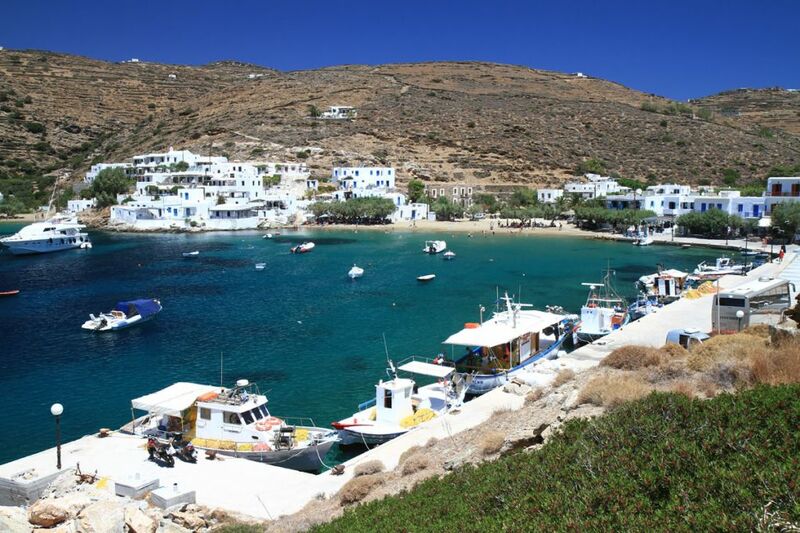 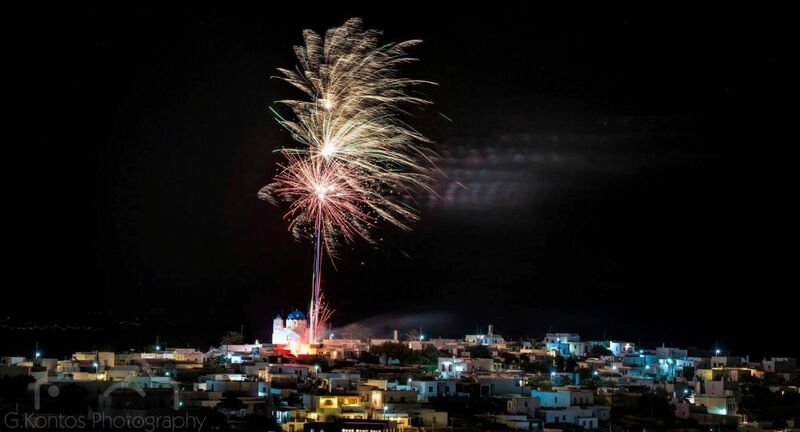 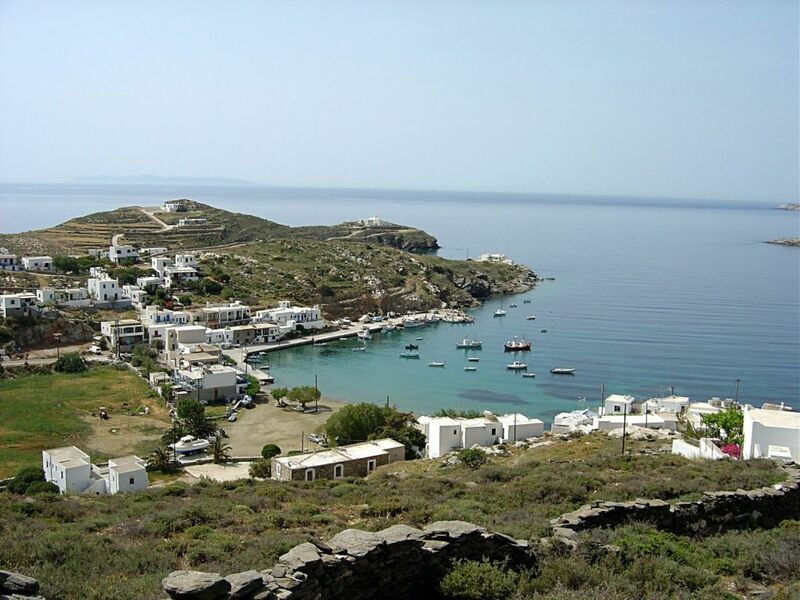 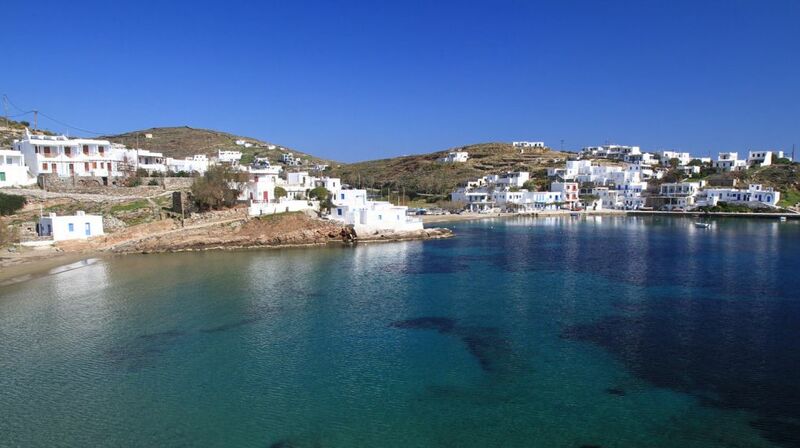 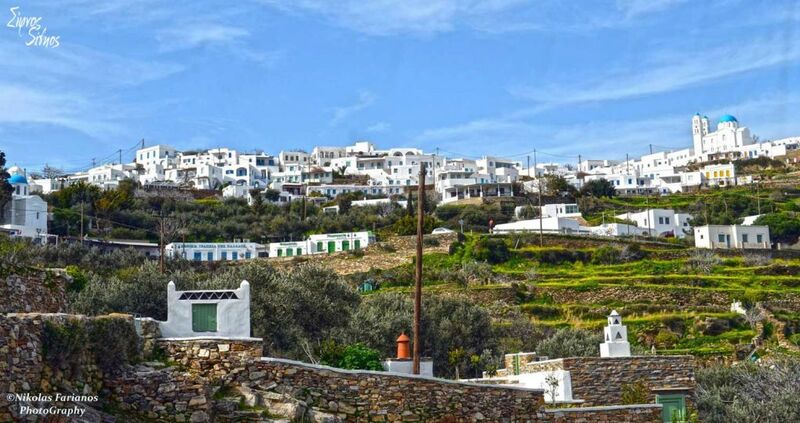 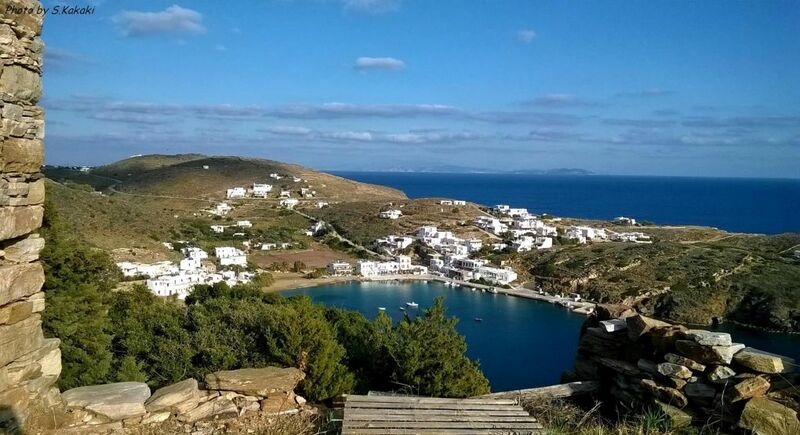 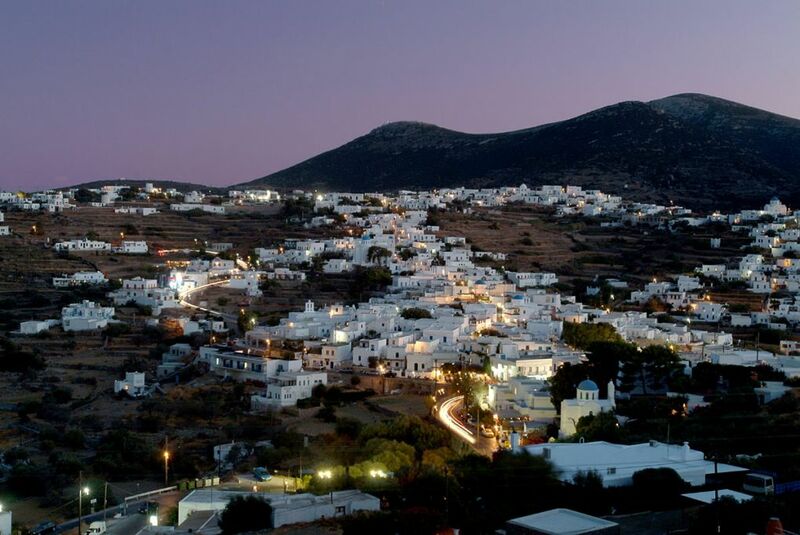 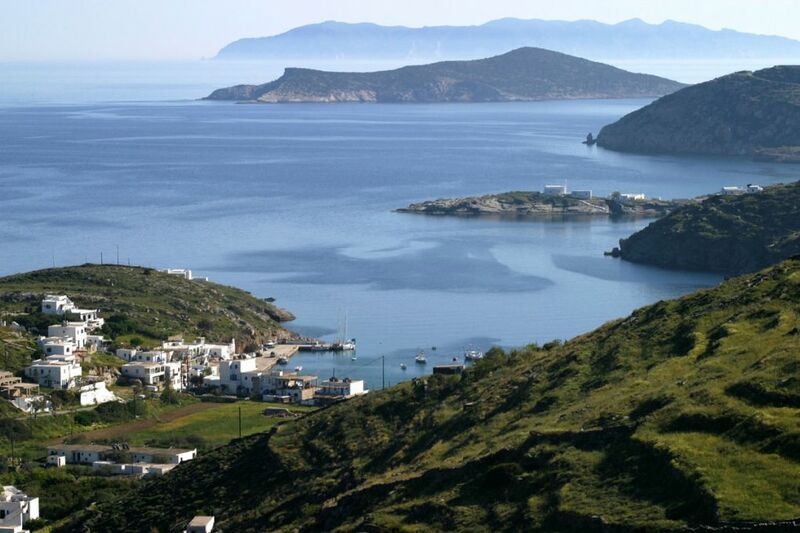 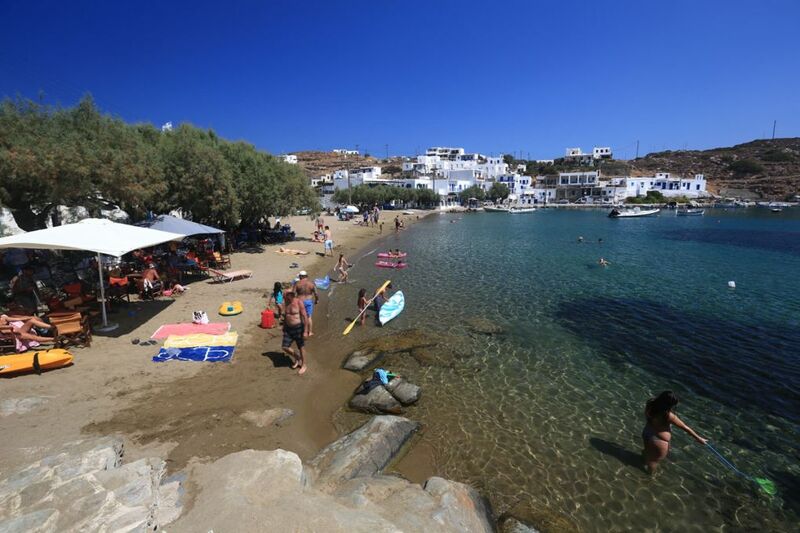 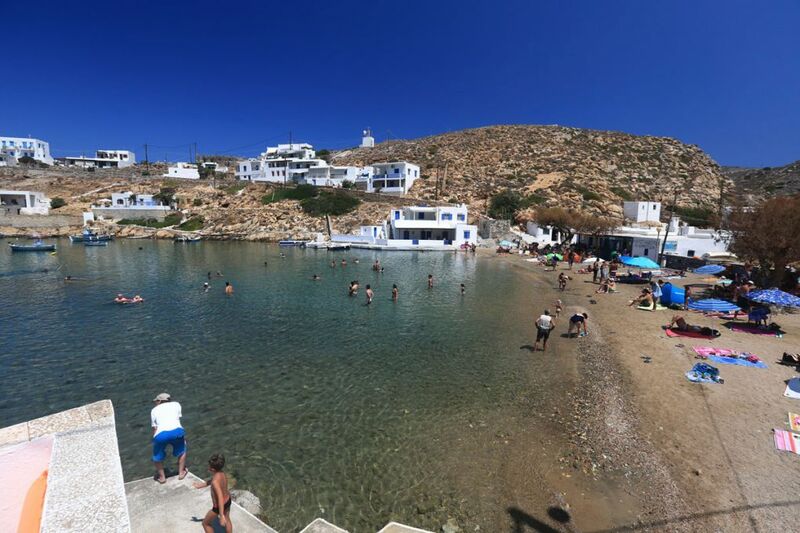 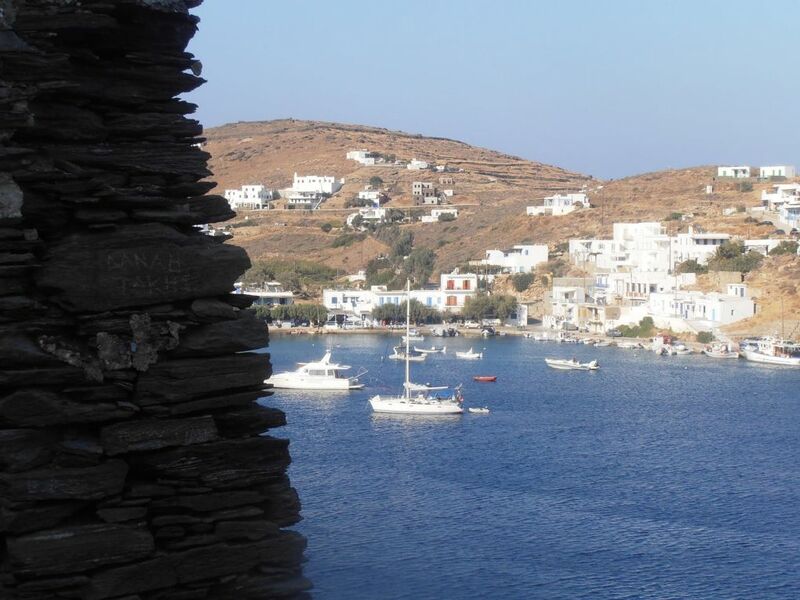 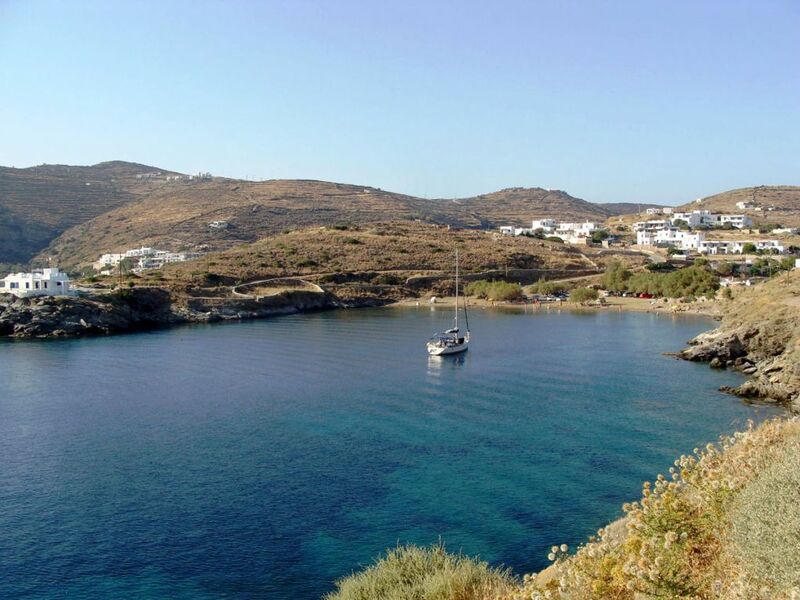 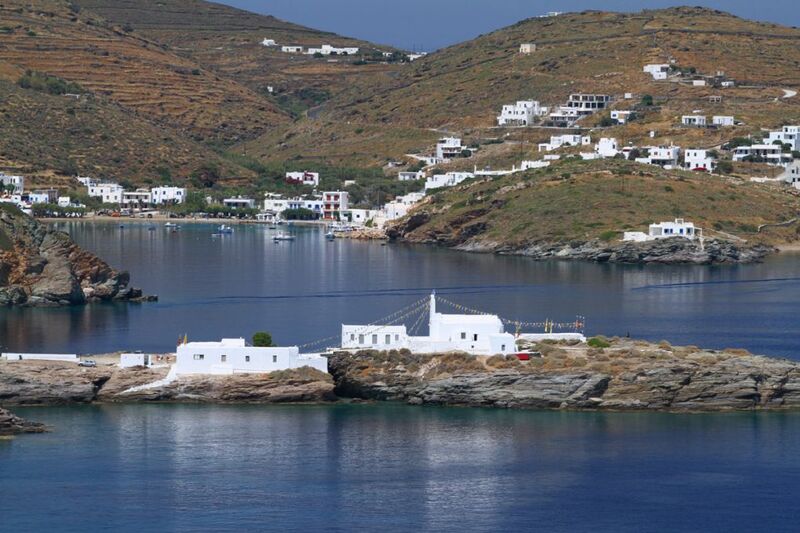 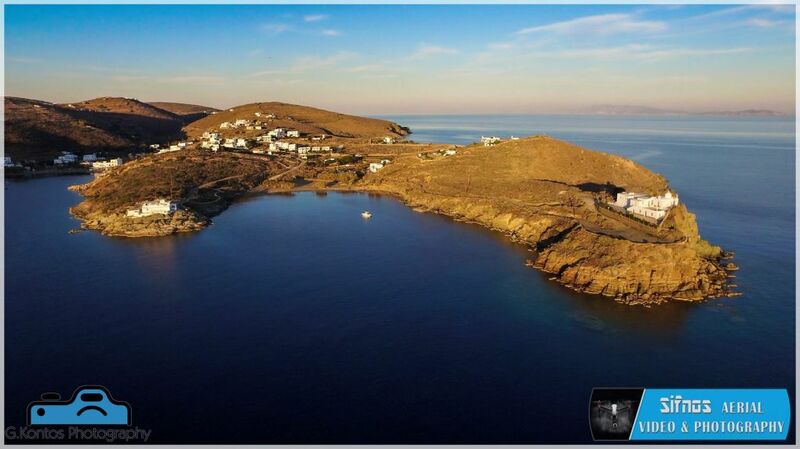 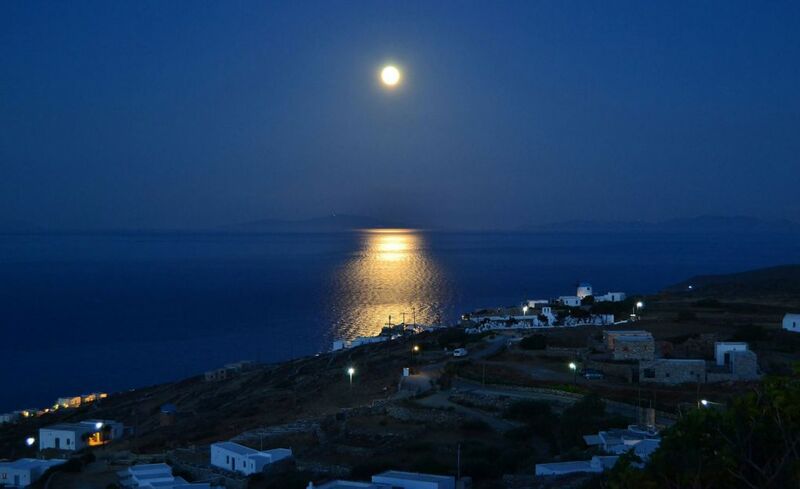 Faros was the port of Sifnos up to 1883 and it took its name after an ancient beacon tower which was situated on the beach (where today starts the path leading from Faros to Glipho). 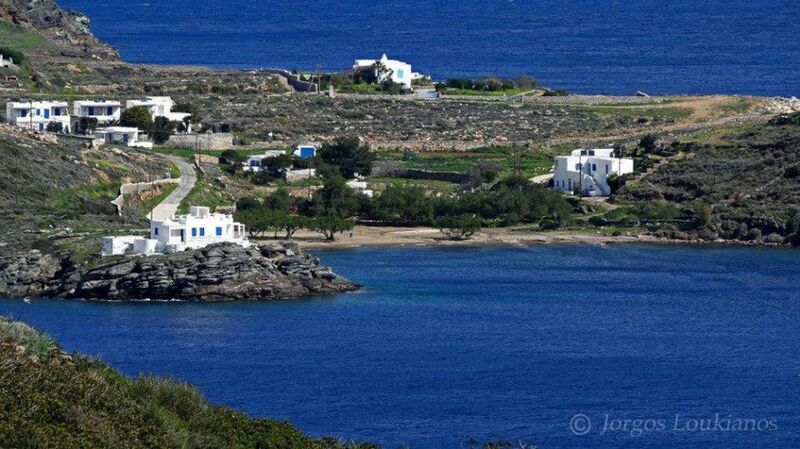 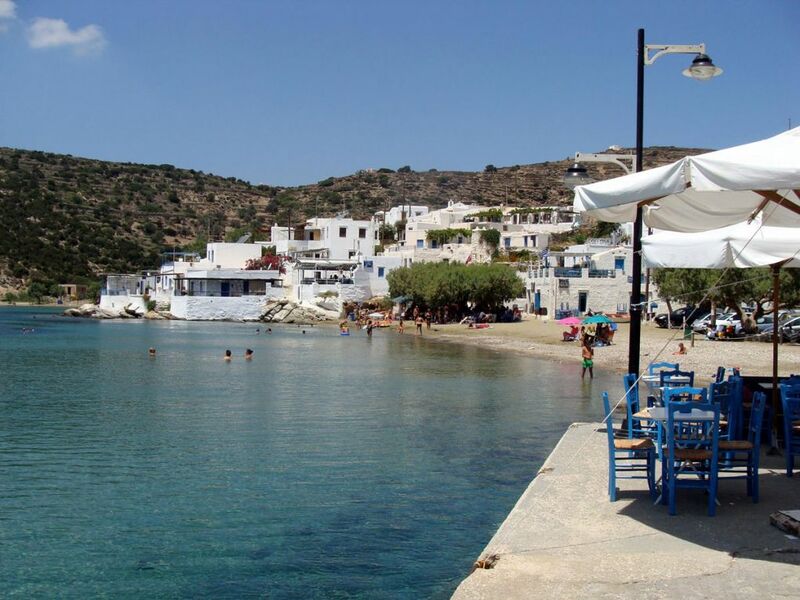 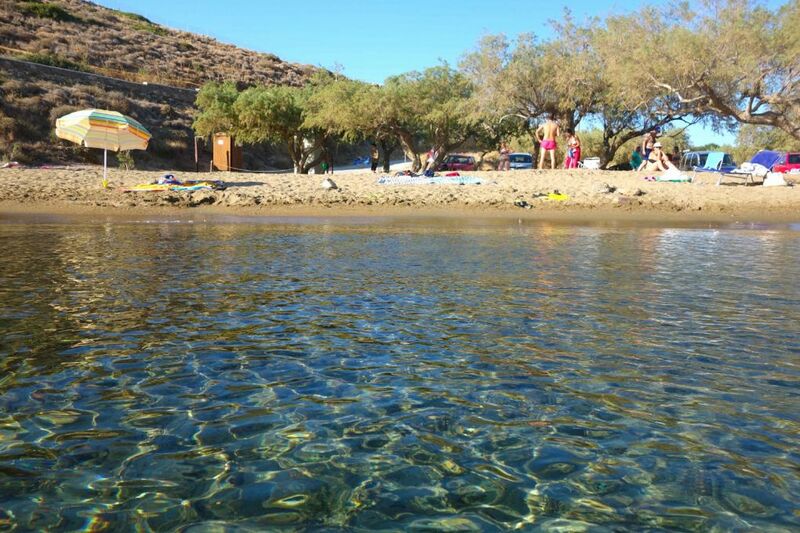 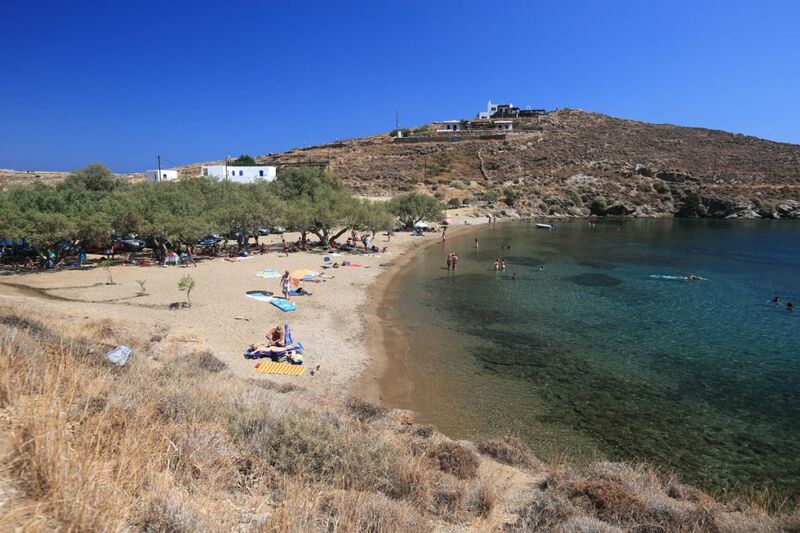 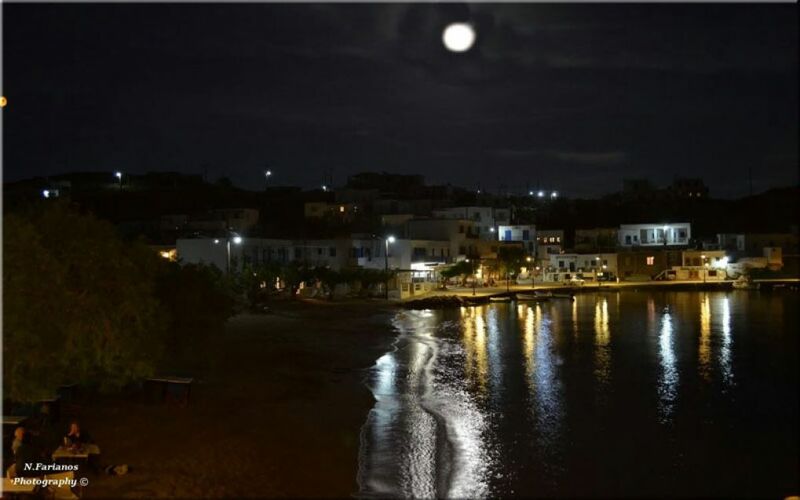 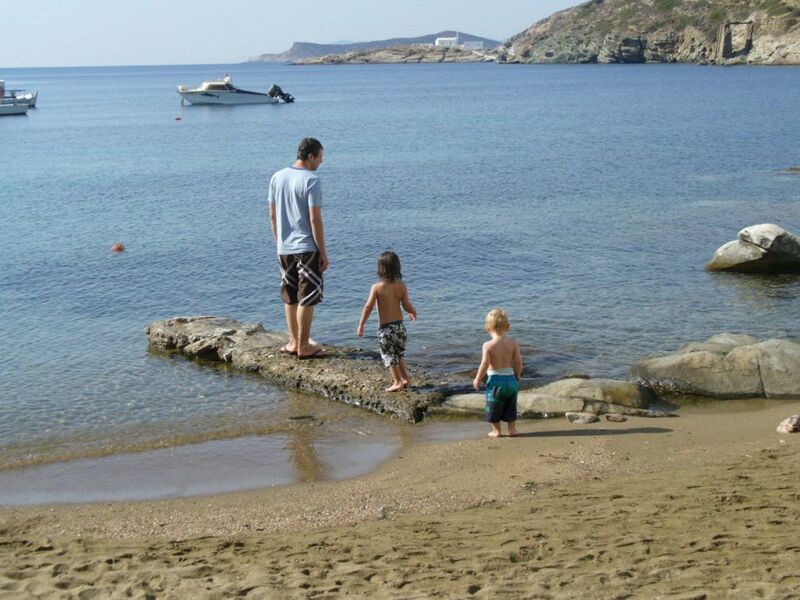 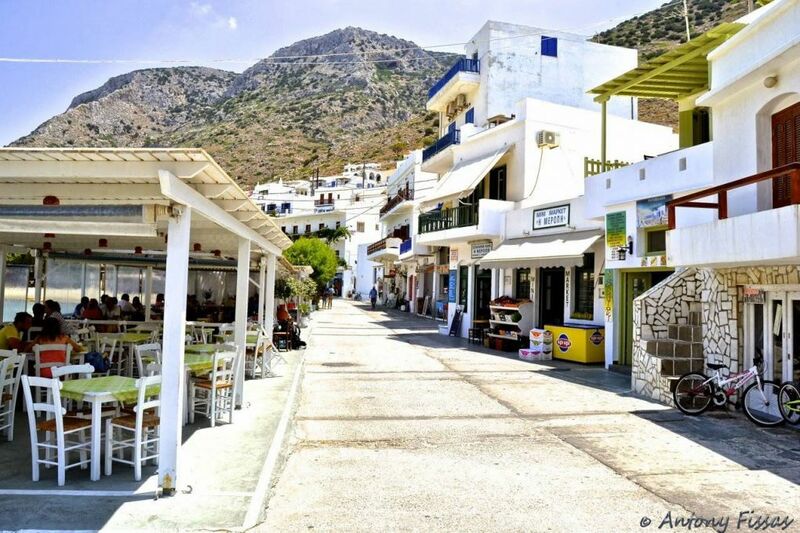 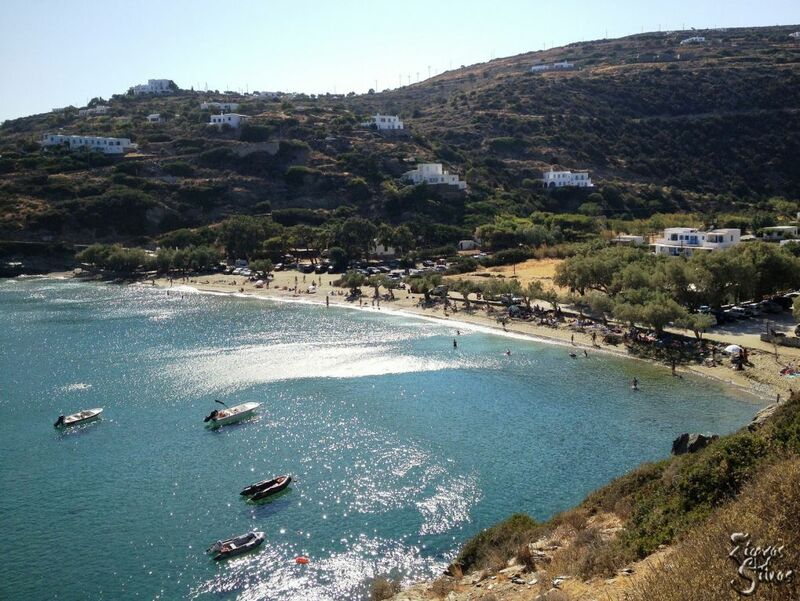 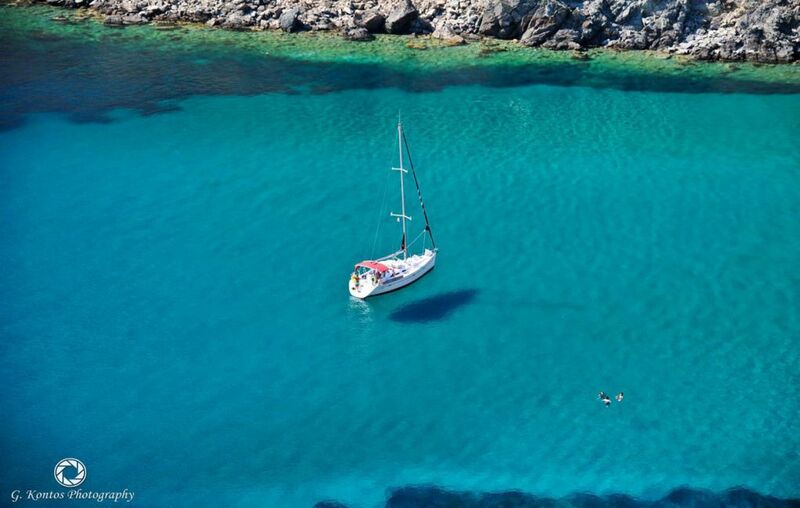 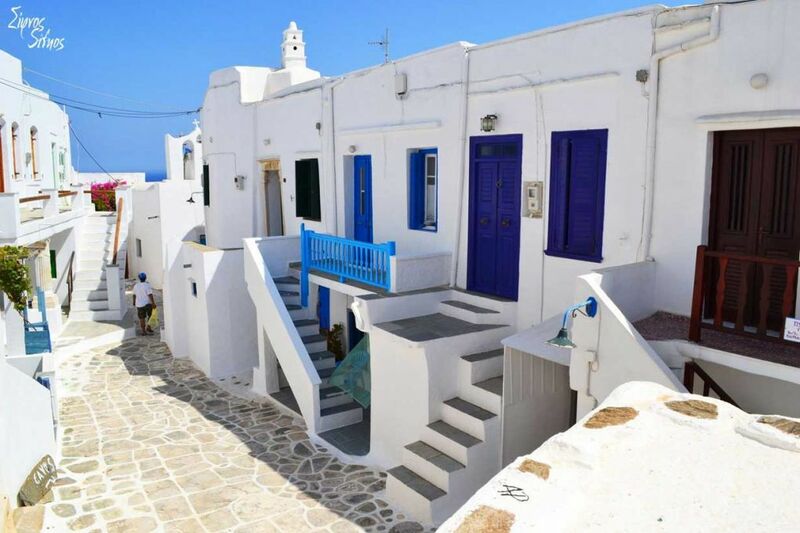 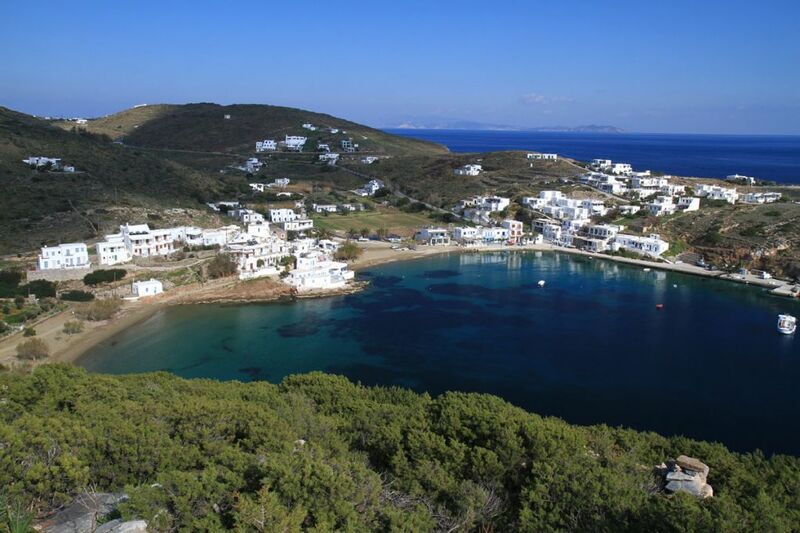 The central beach of Faros is located at the end of the asphalted road and it has a wonderful view of Chrissopigi. 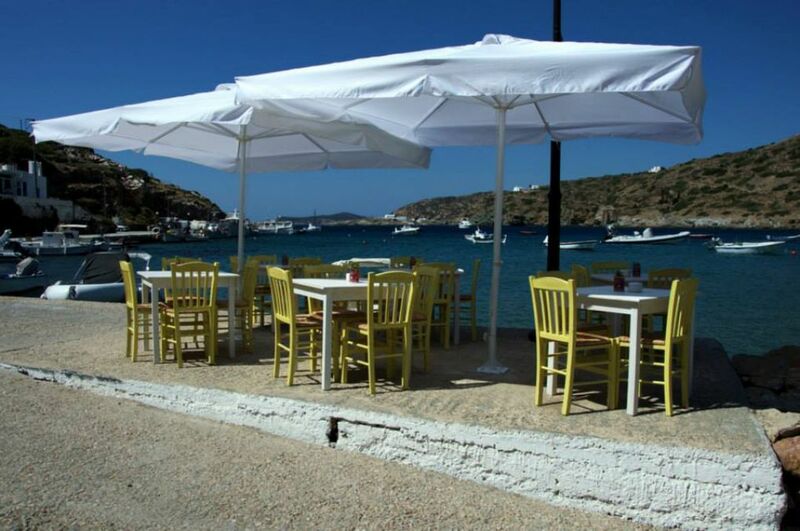 Here, you will find restaurants, taverns, cafeterias – snack bars and a grocery. 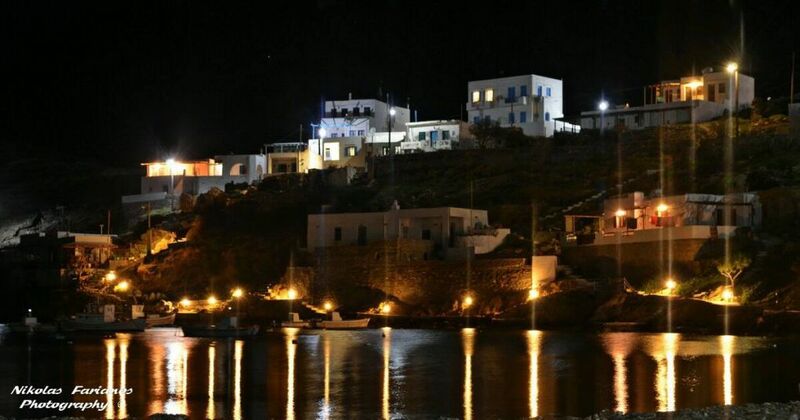 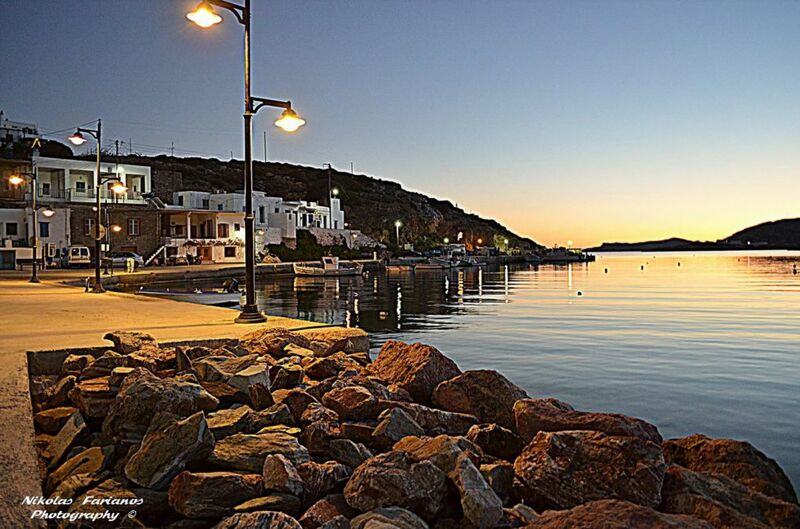 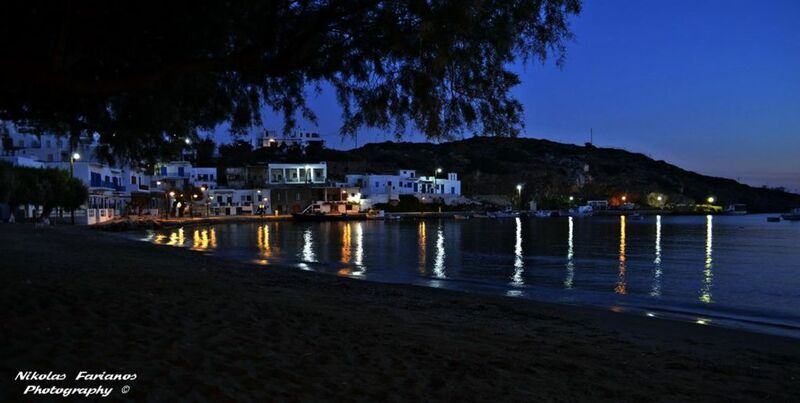 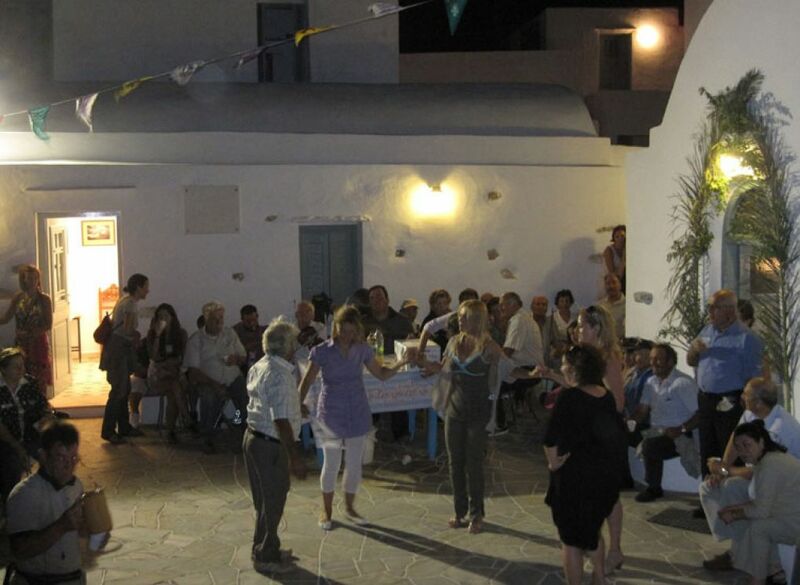 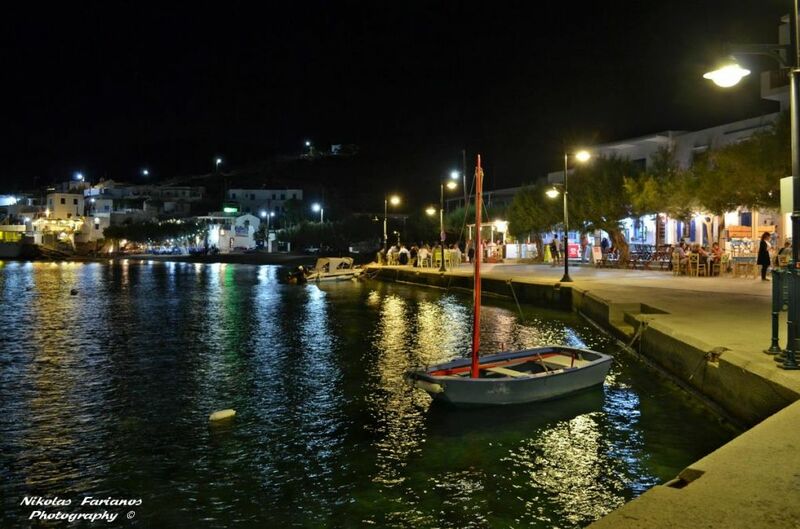 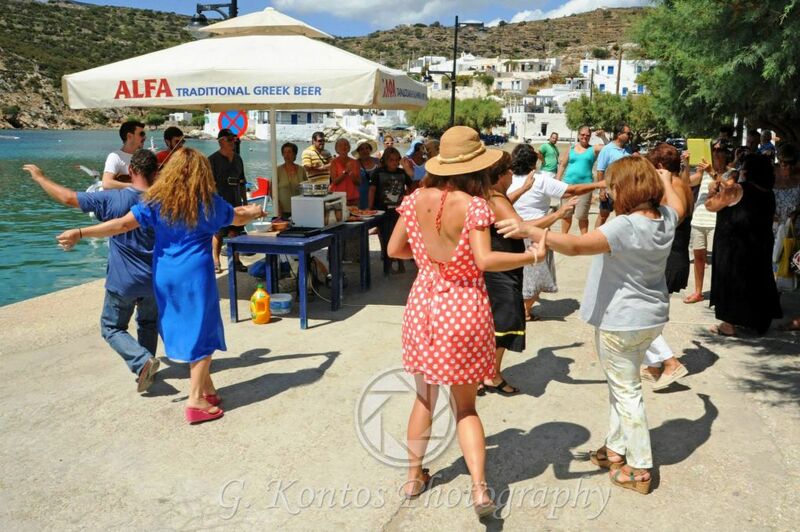 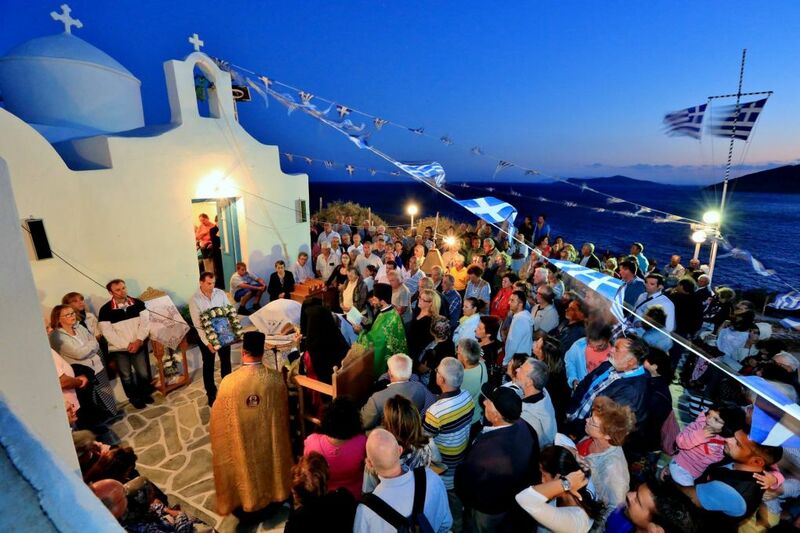 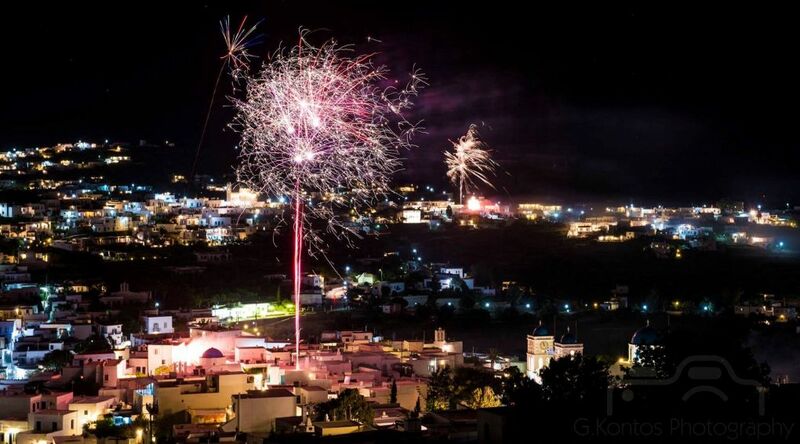 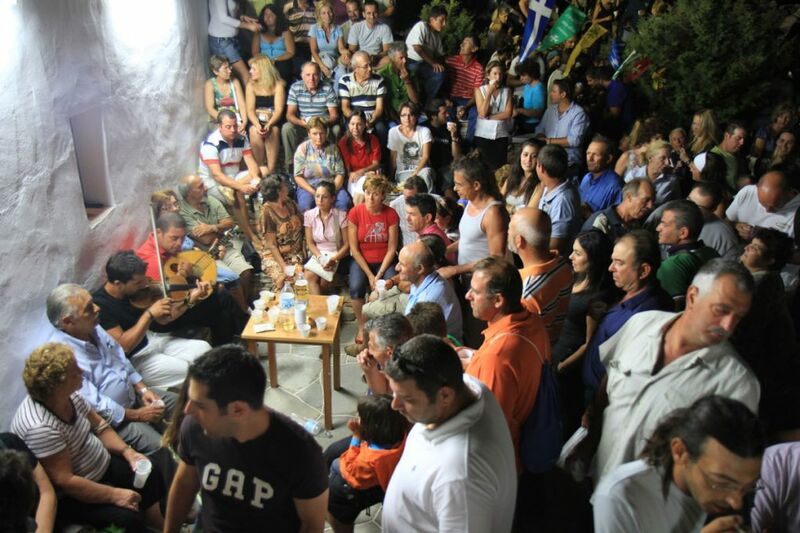 On the jetty of Faros, there is a small stone theater, where many cultural events take place during the summer. 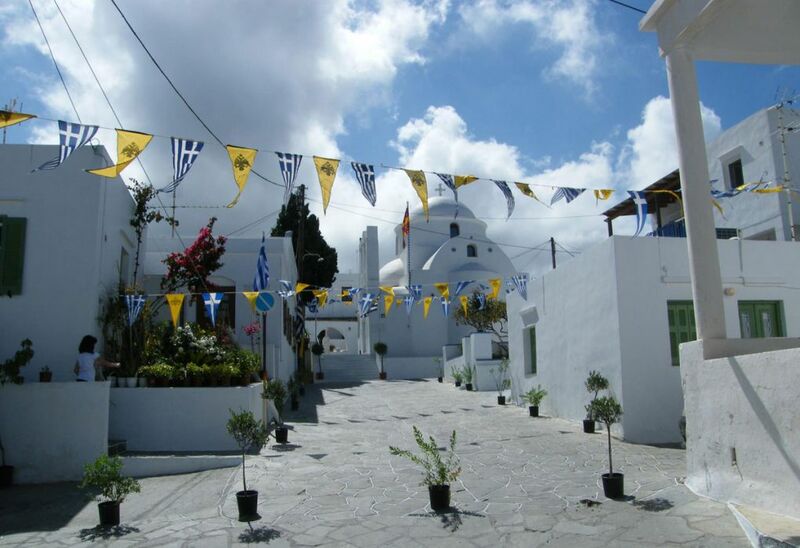 In the village there is also a municipal parking. 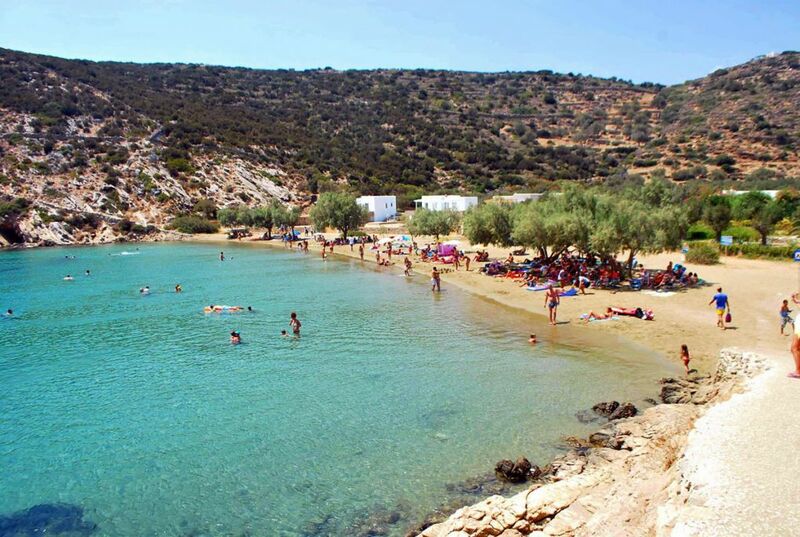 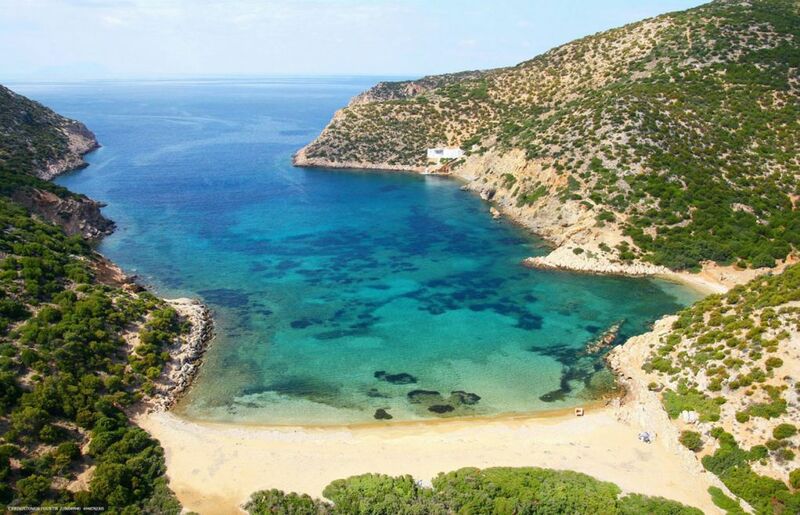 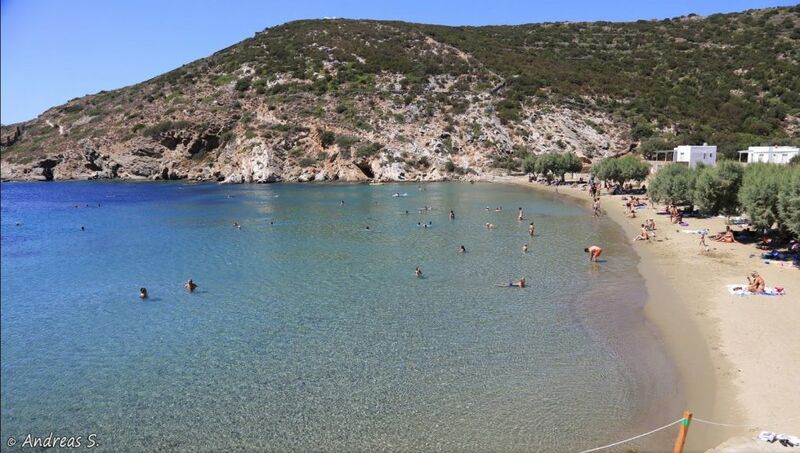 The beach of Glipho (=brackish), which took its name from a well with brackish water that has been there from the ancient times till today, is accessible by a short path that begins on the right side of the beach of Faros. 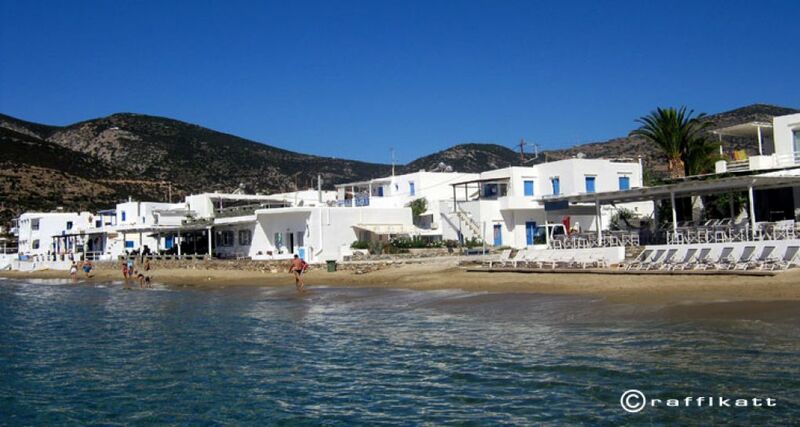 There are no buildings on the beach of Glipho. 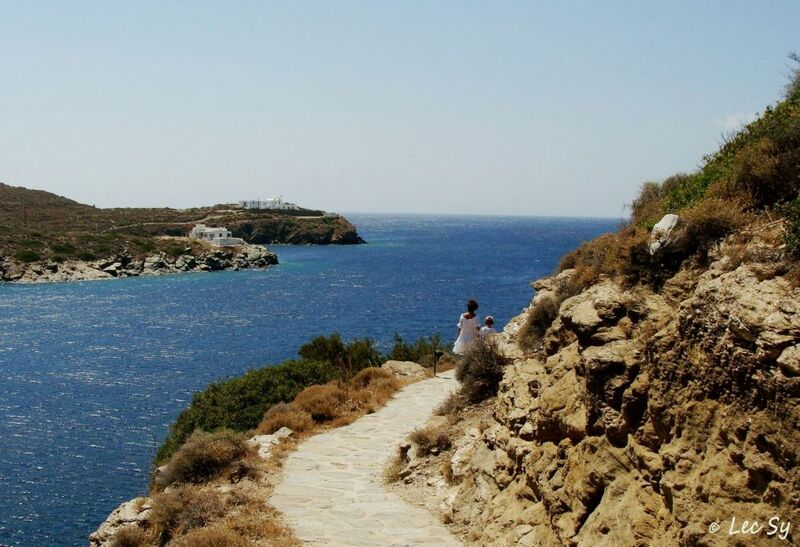 Here starts a beautiful path that leads to the beach of Apokofto and to Chrissopigi. 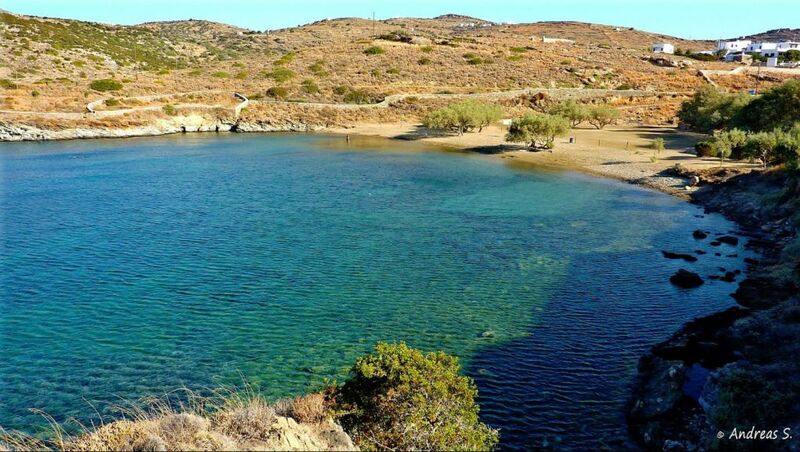 From those beaches one can see the ladder of the mines and the installations for the loading of minerals that were extracted from the mines of this area. 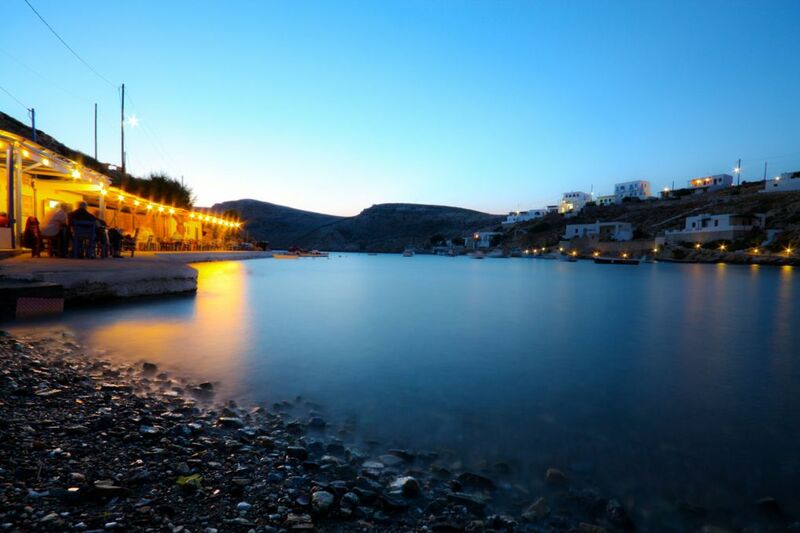 There are lights along the path all night long. Fassolou is the beach, which is located on the left side of the beach of Faros and it is accessible by a path that starts from Faros, next to the bus station, or by the asphalted road. 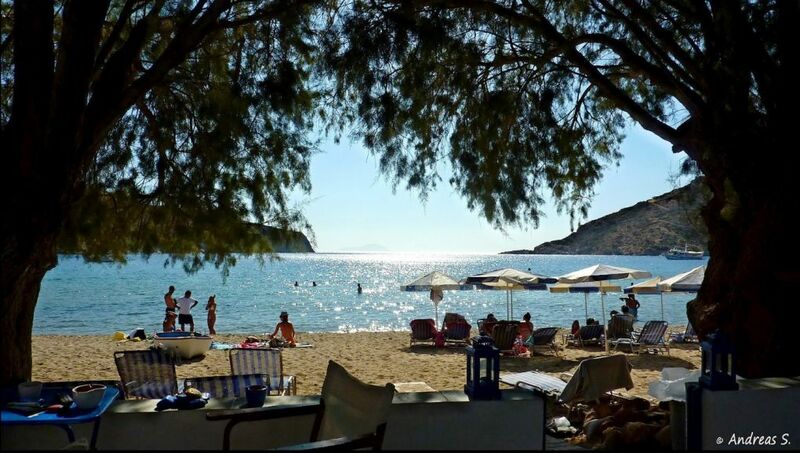 On this beach you will find a restaurant. 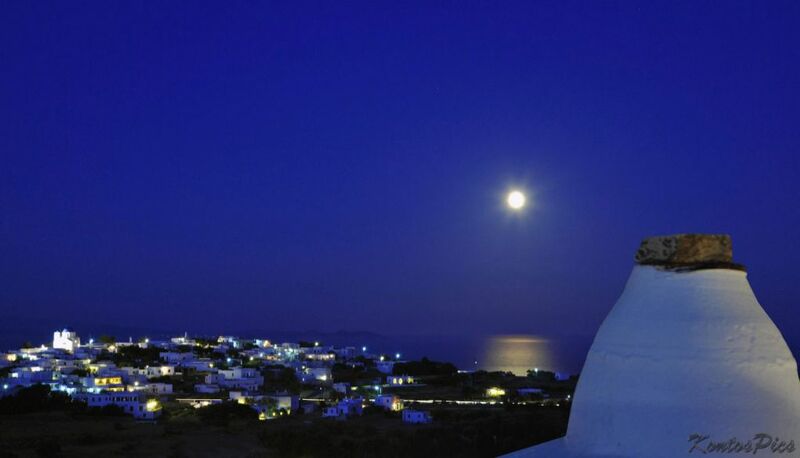 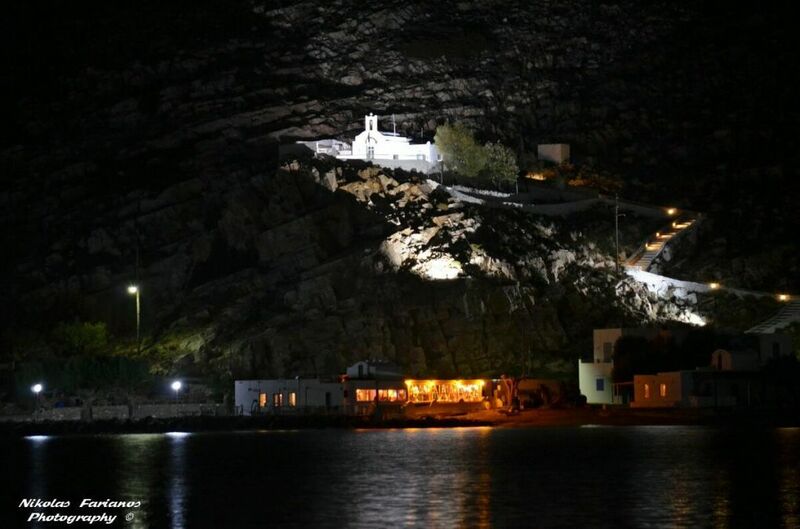 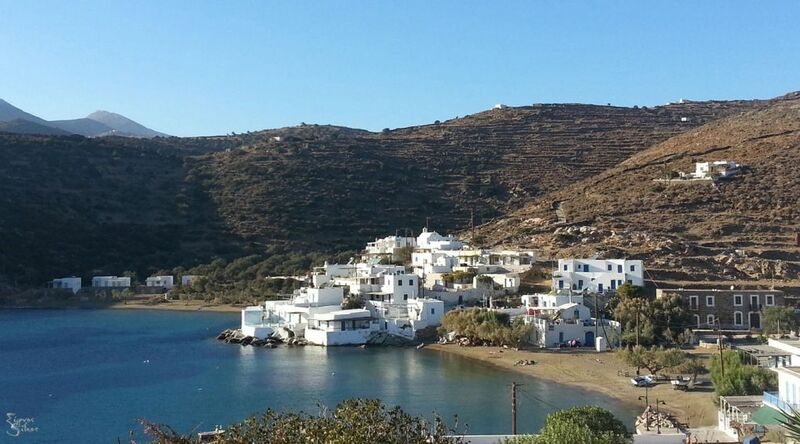 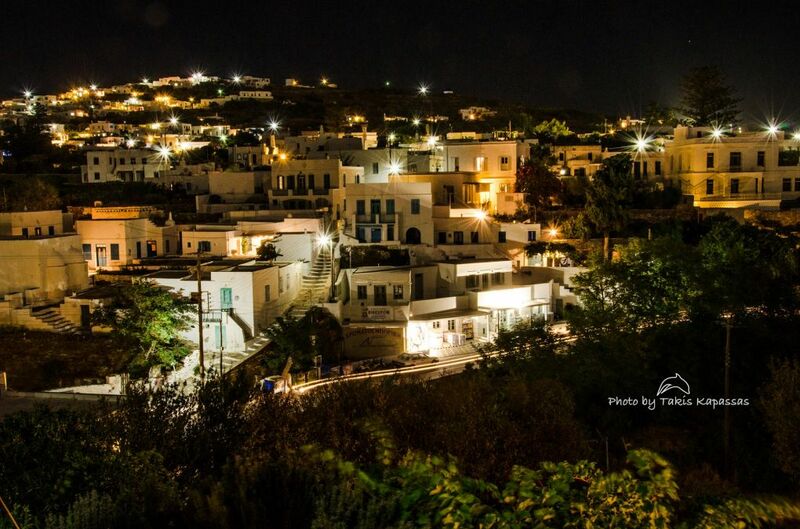 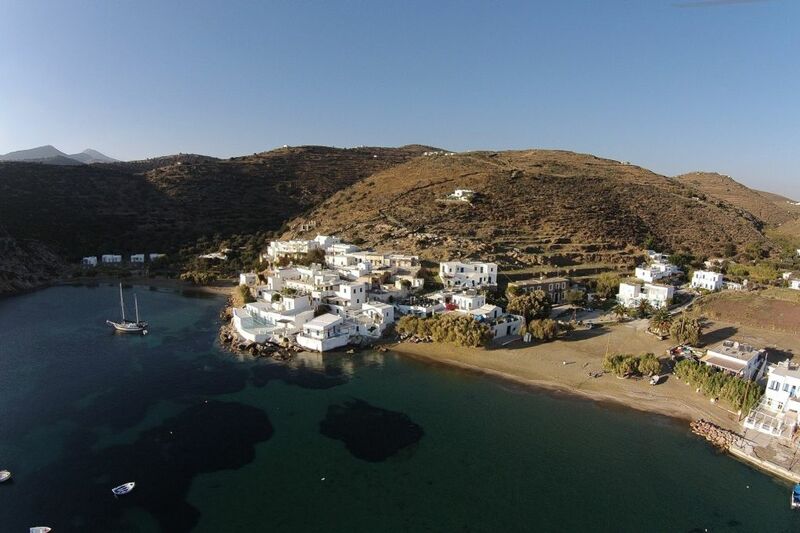 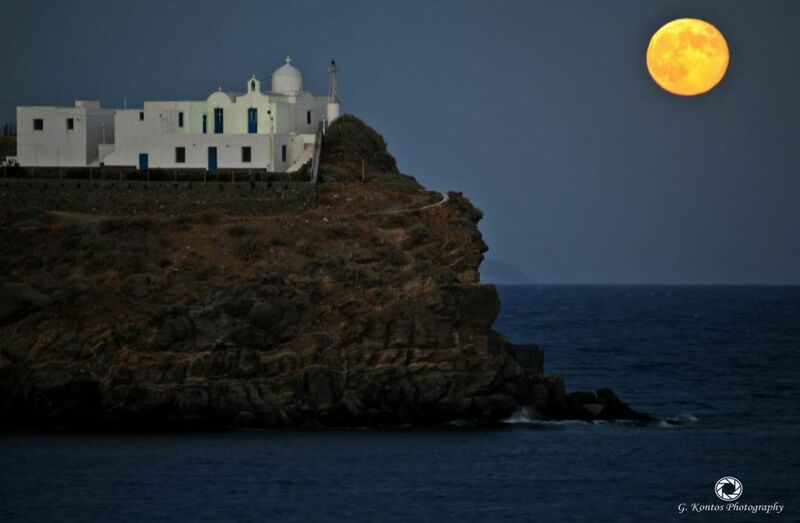 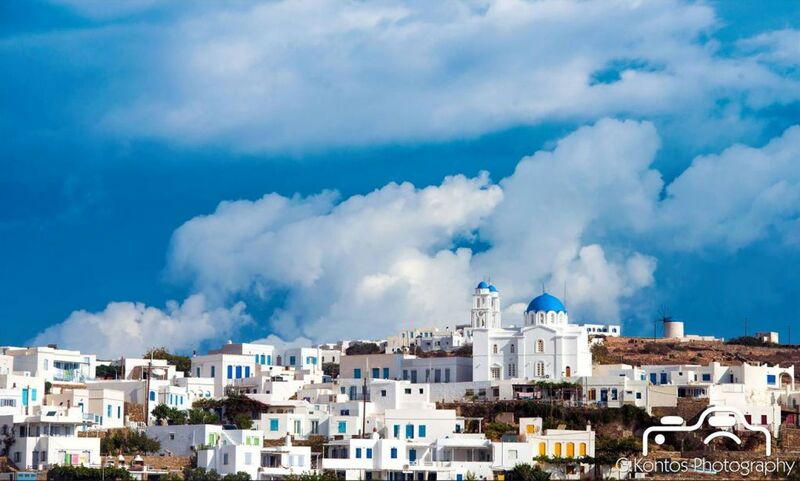 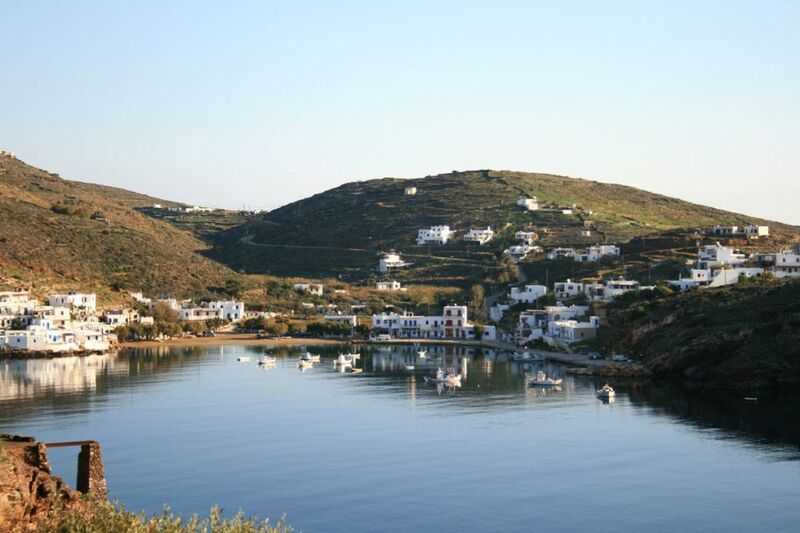 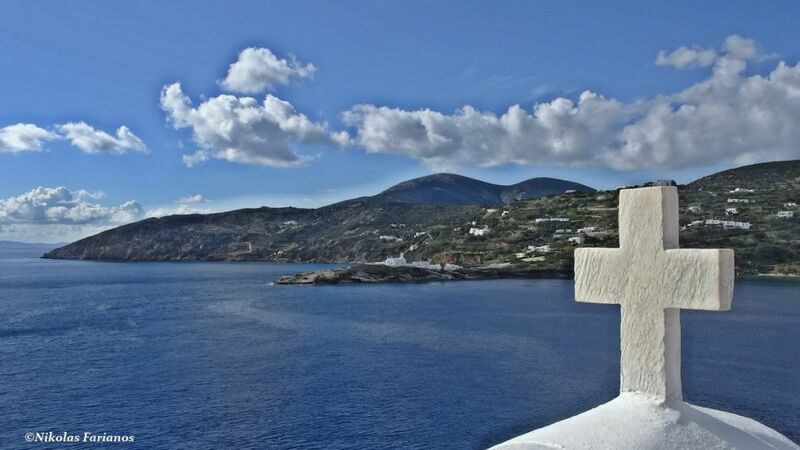 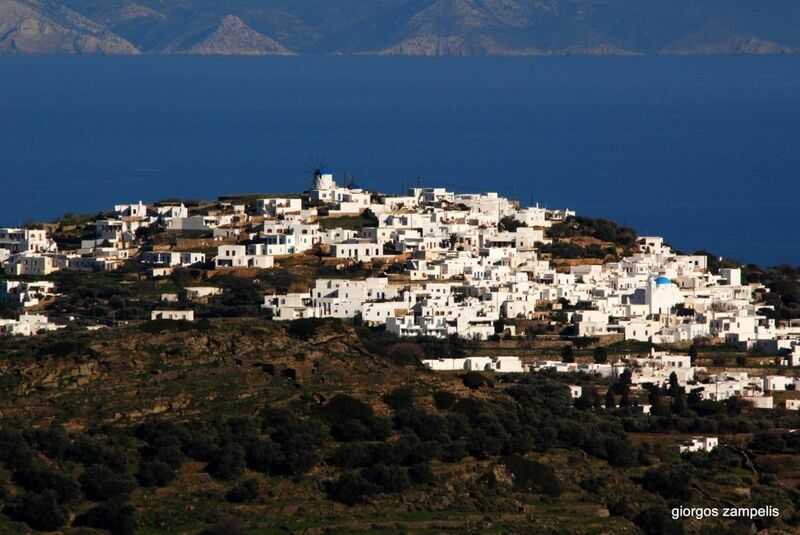 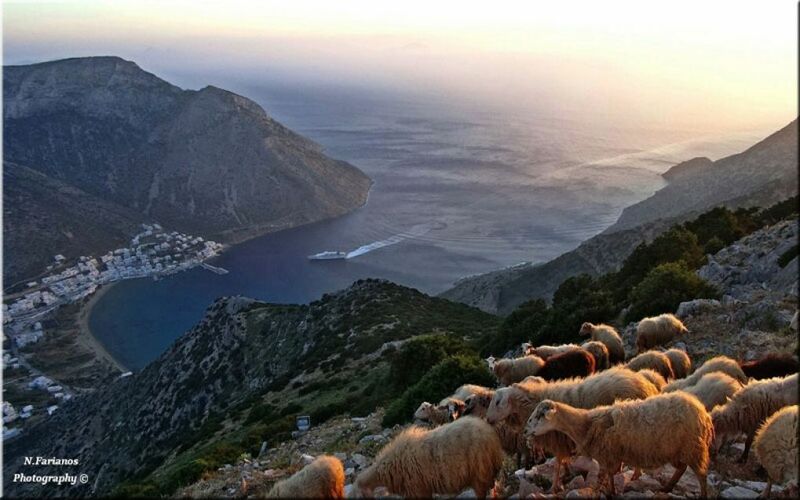 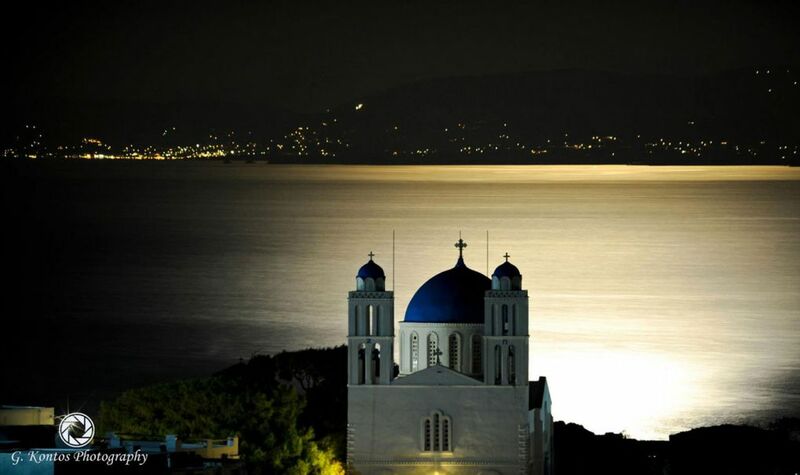 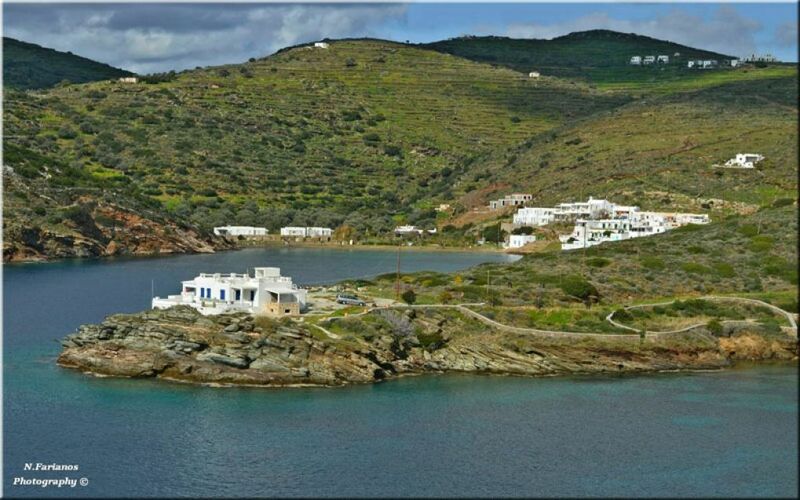 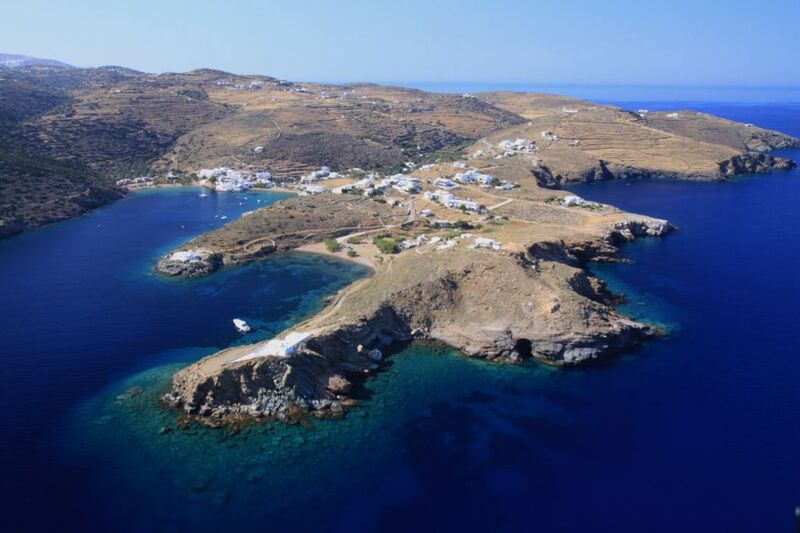 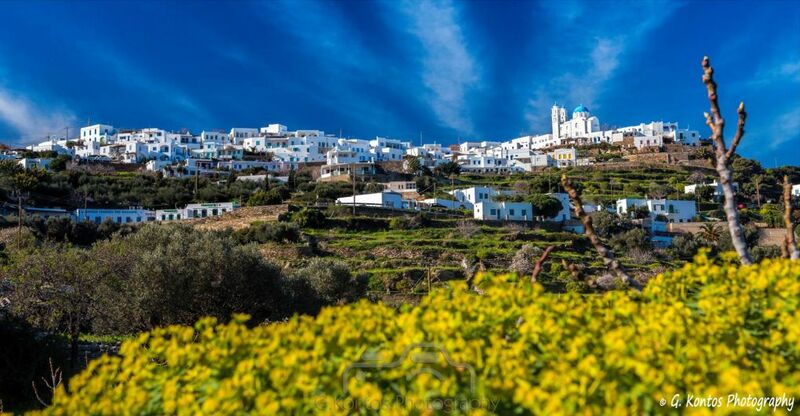 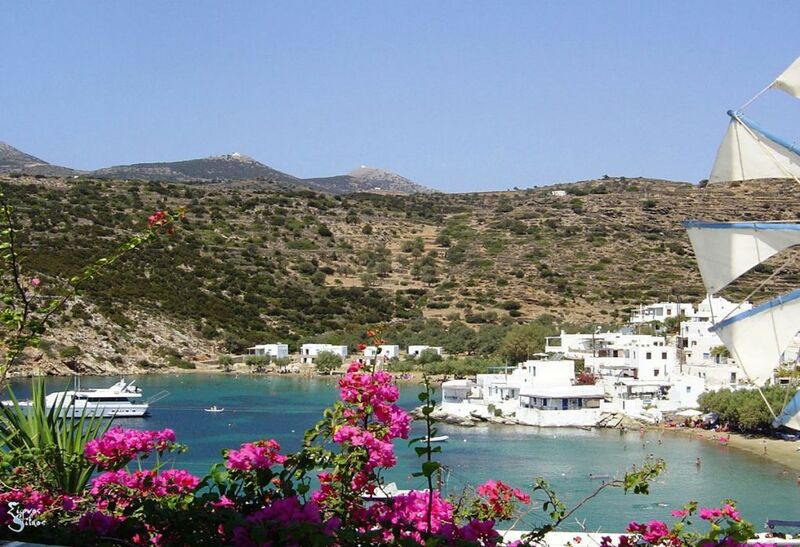 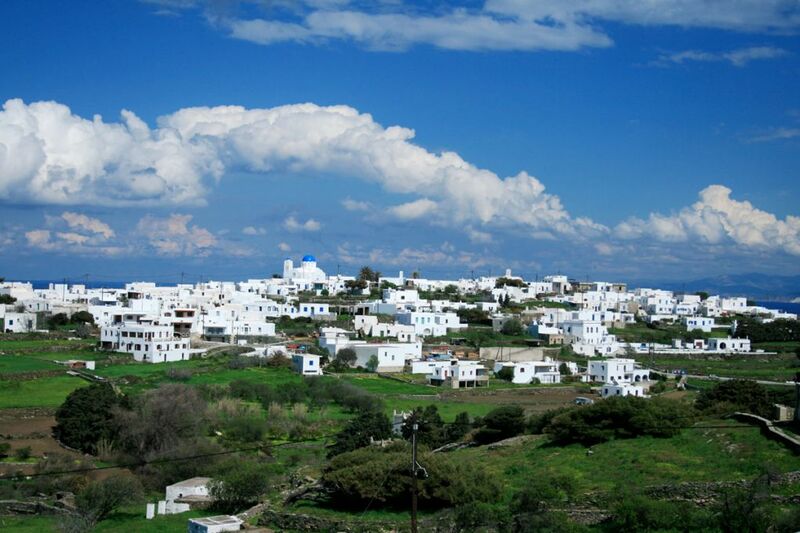 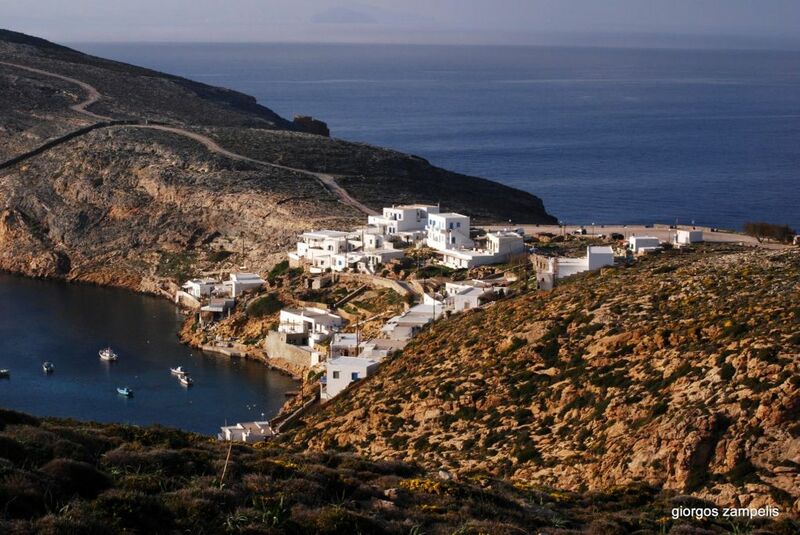 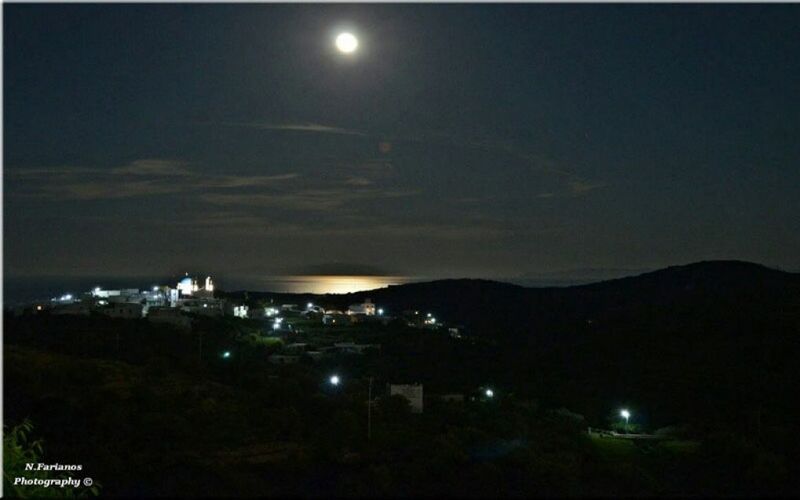 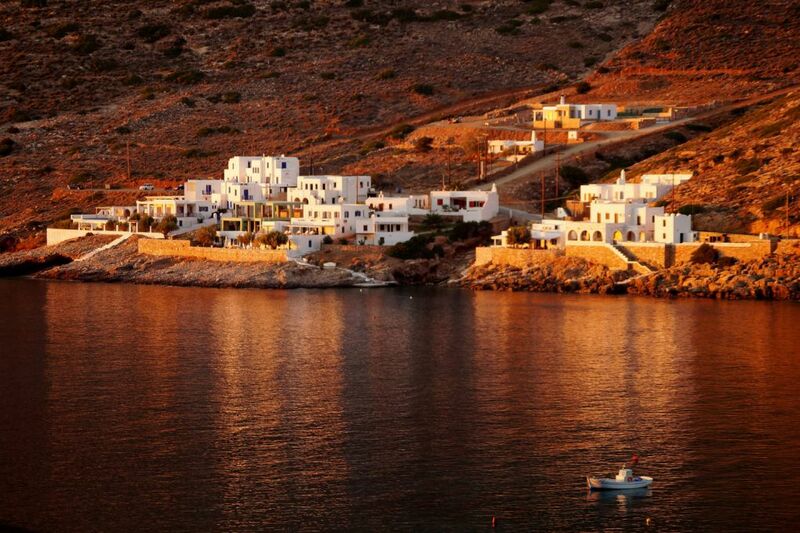 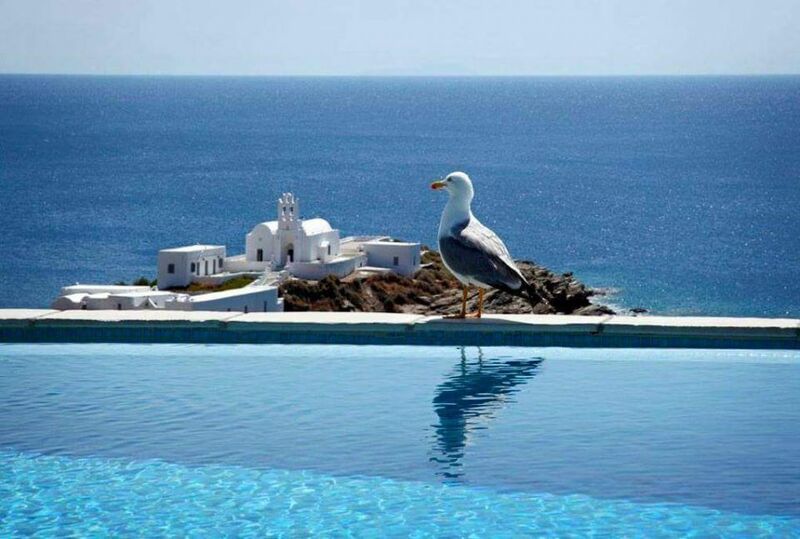 In Fassolou you will also find the monastery of the Cross (in Greek: Stavros) of Faros. 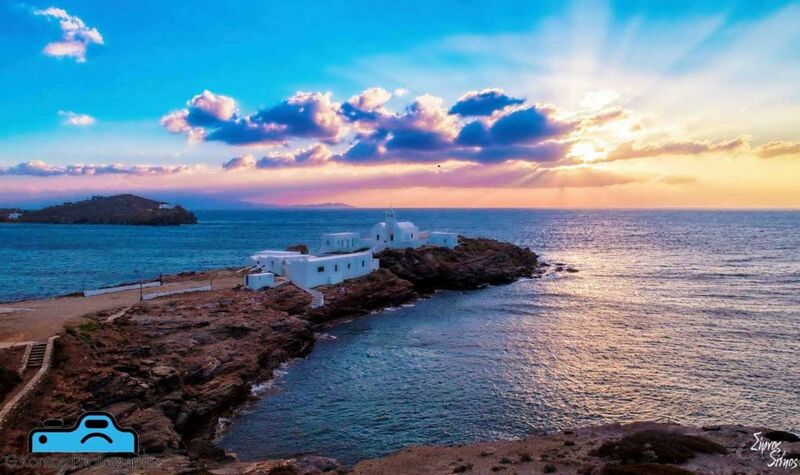 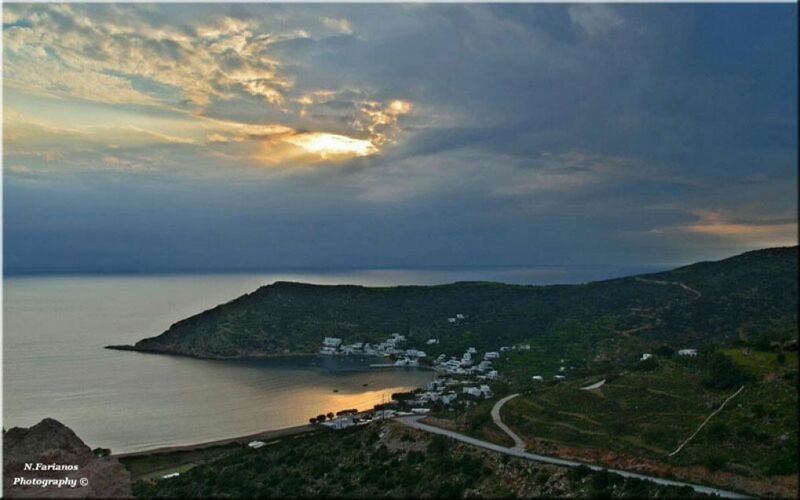 In Faros there is also the rocky coast of Aspra Gremna, which is located on the way to the entrance of the carriageway that leads to Fassolou.